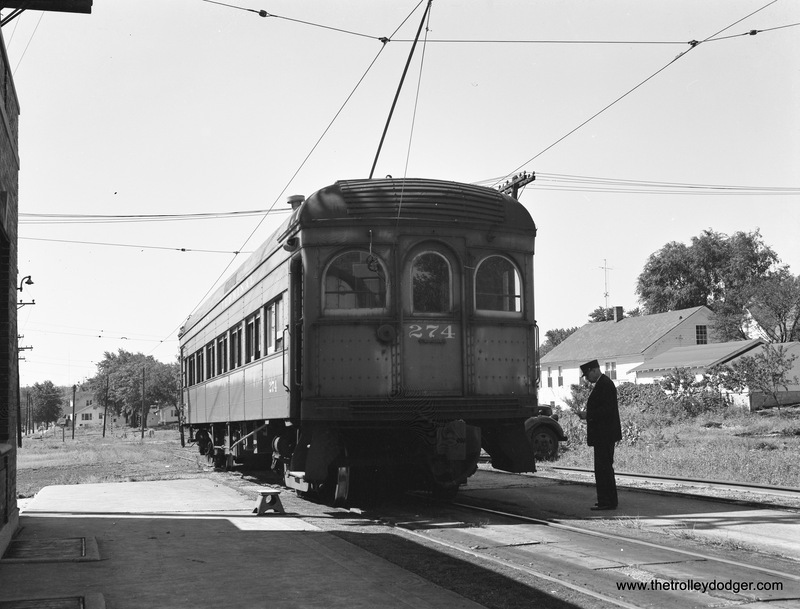 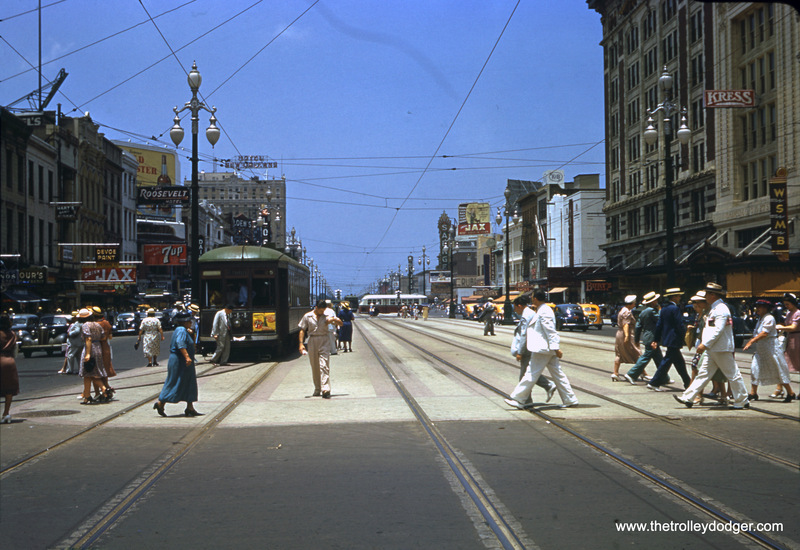 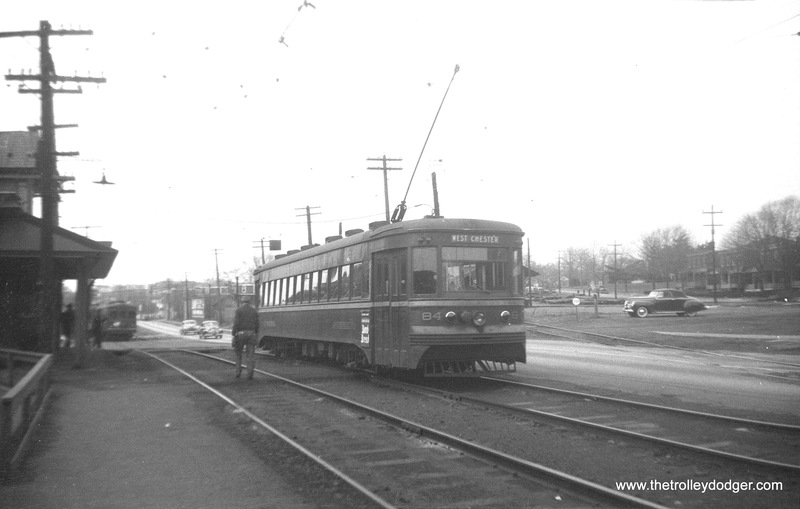 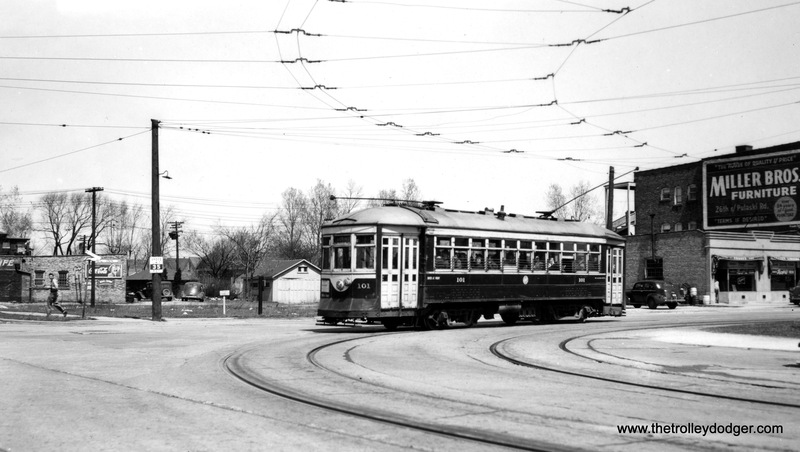 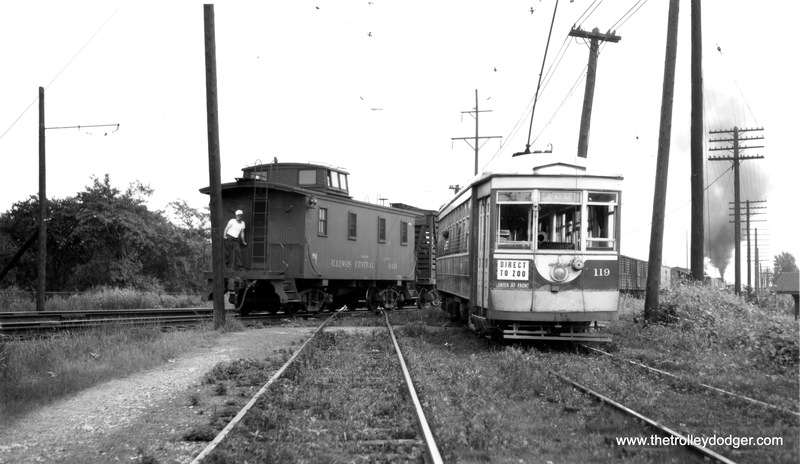 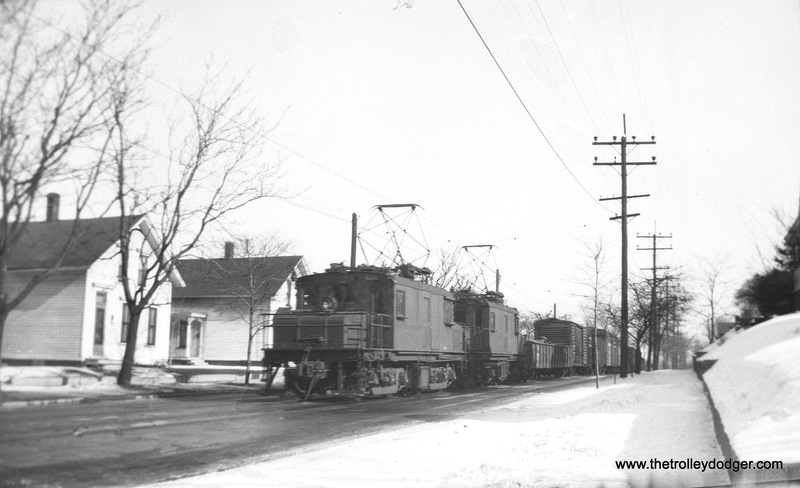 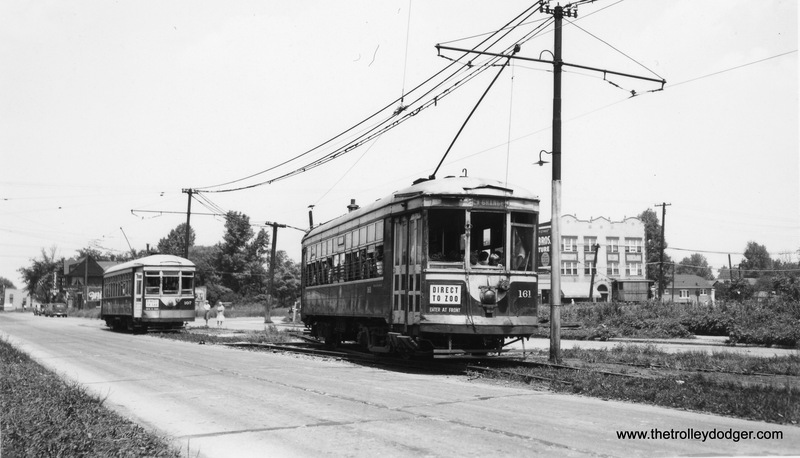 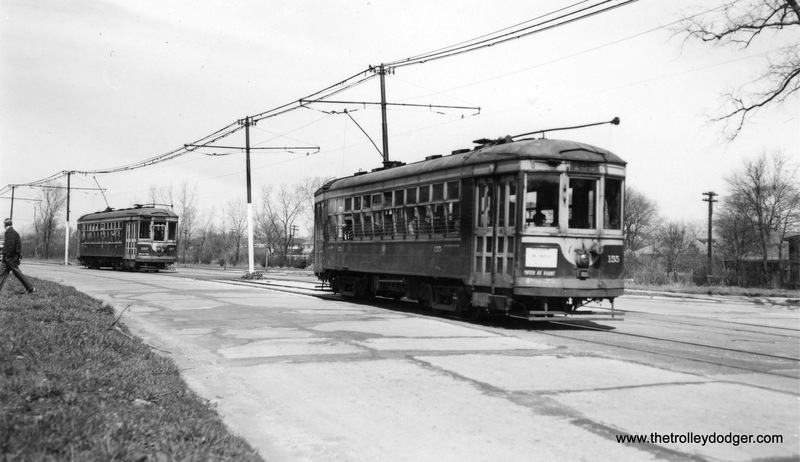 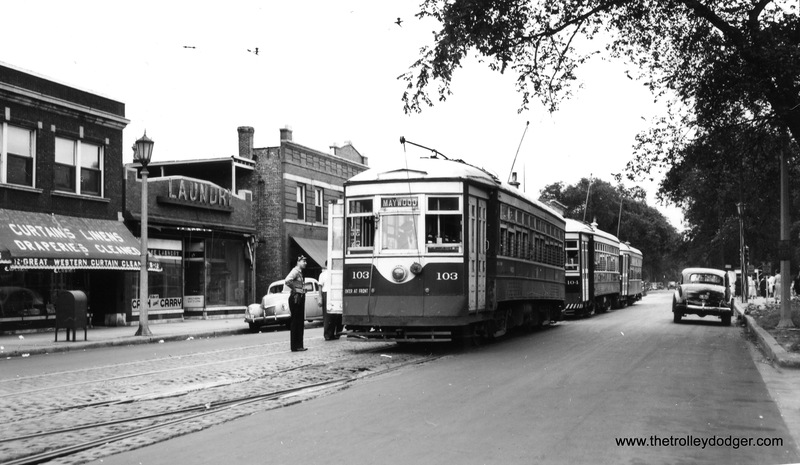 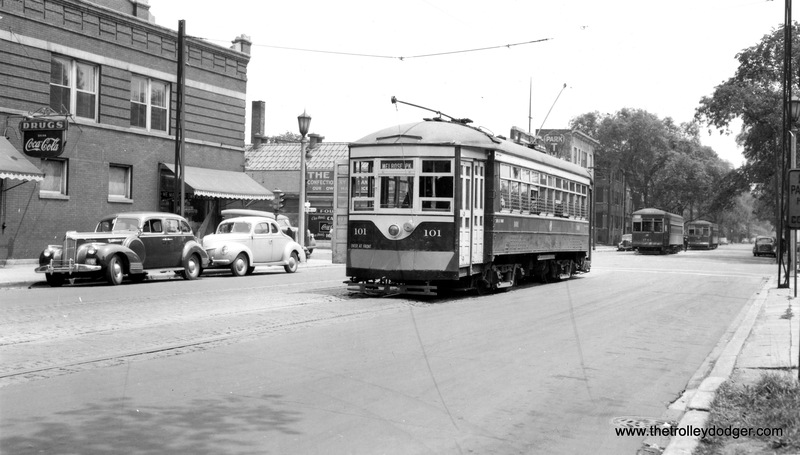 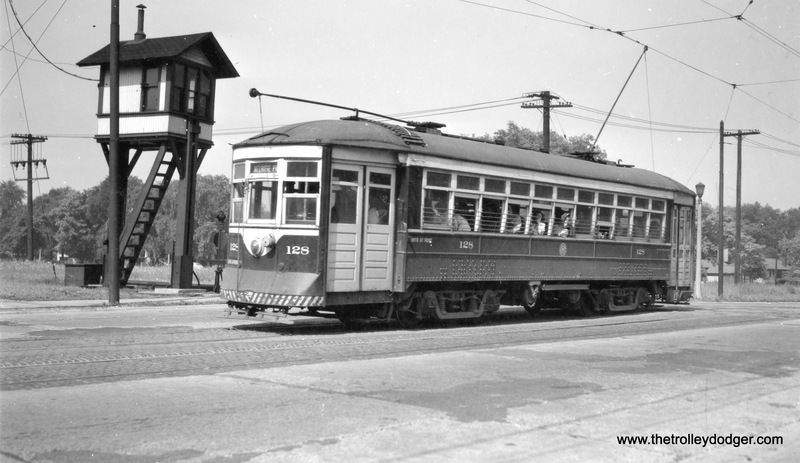 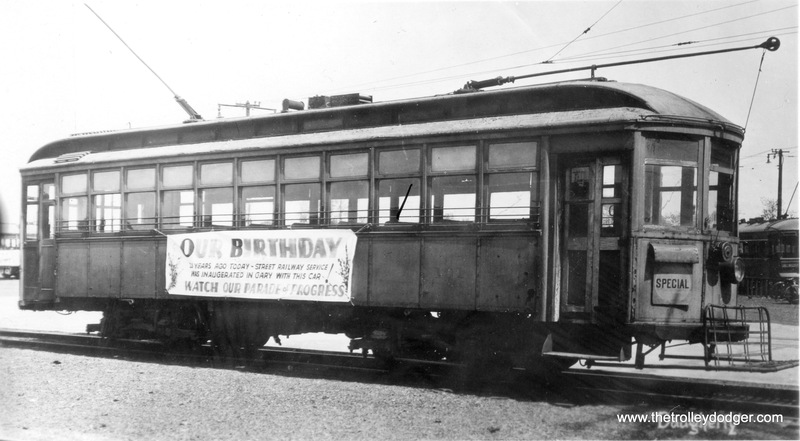 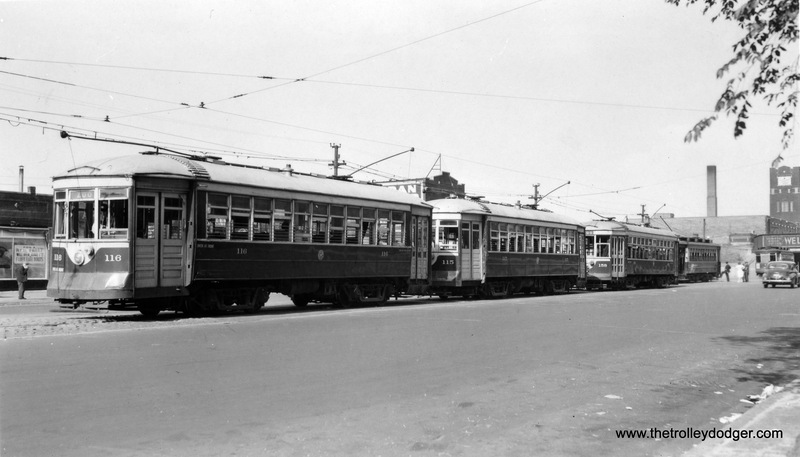 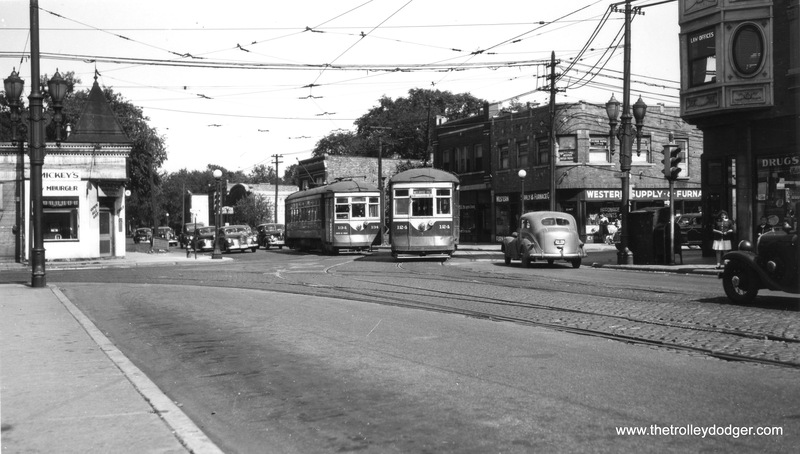 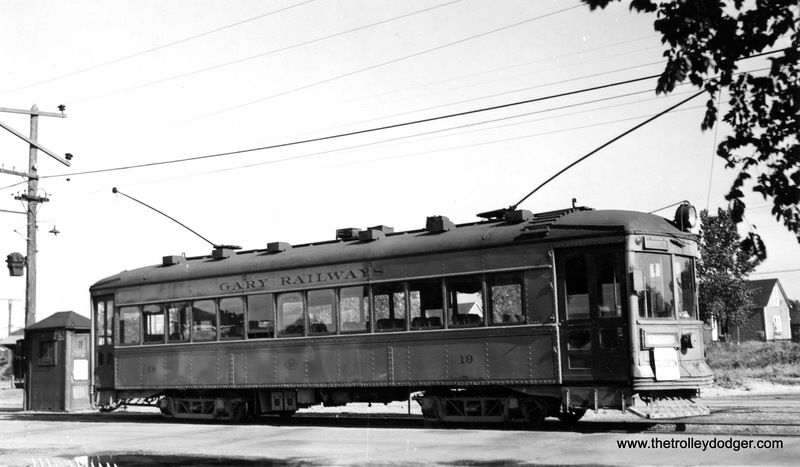 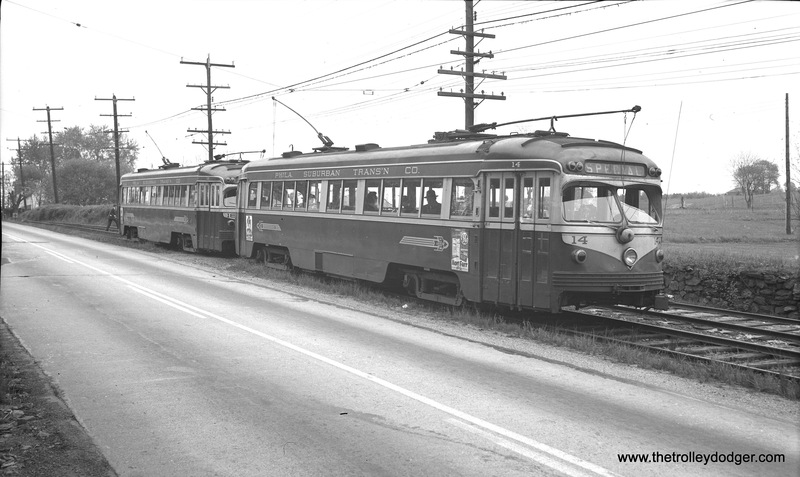 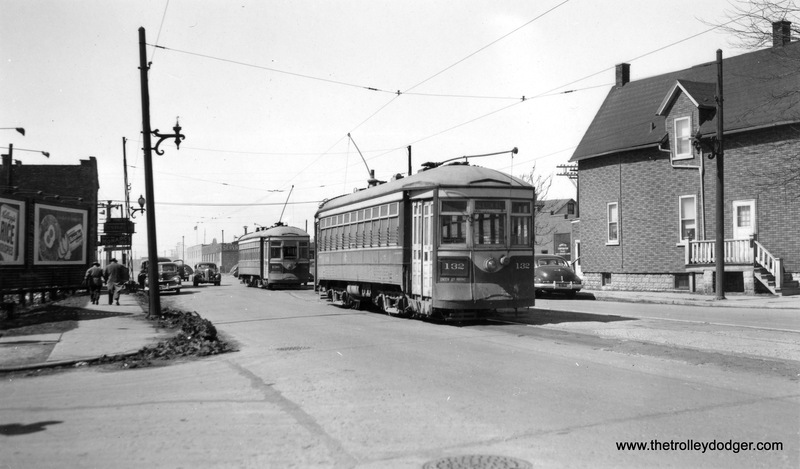 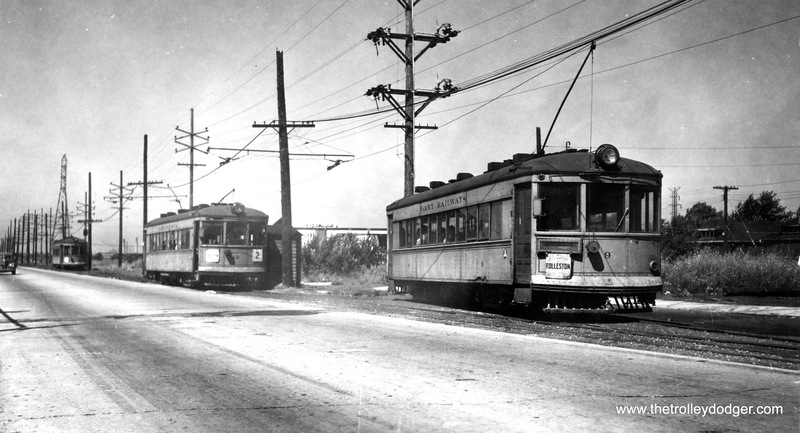 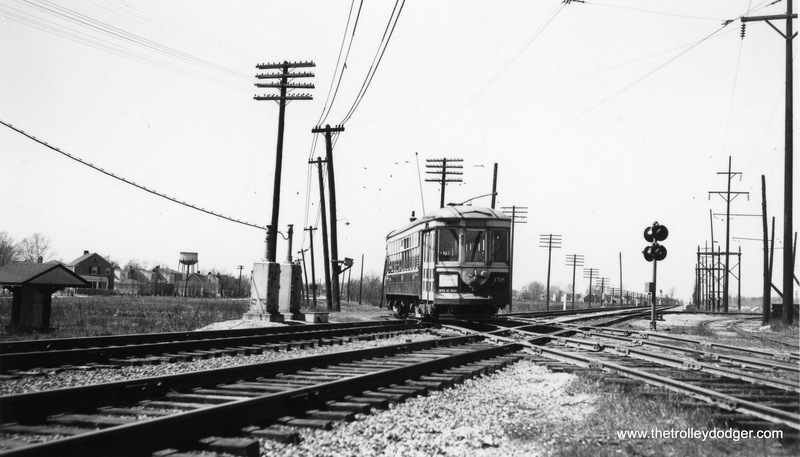 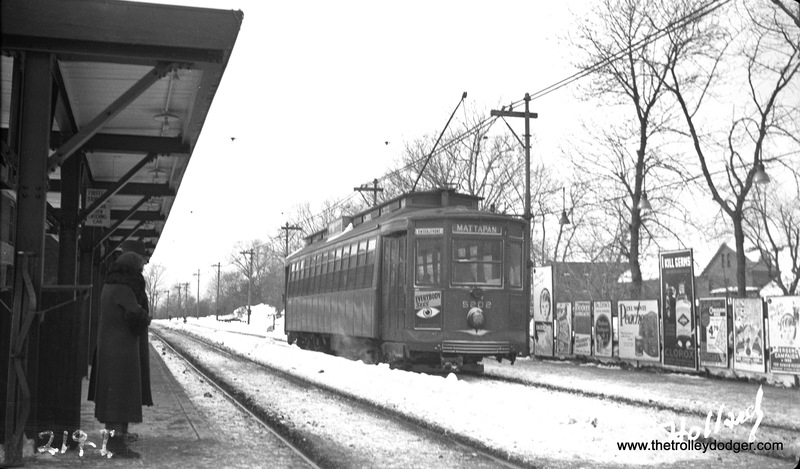 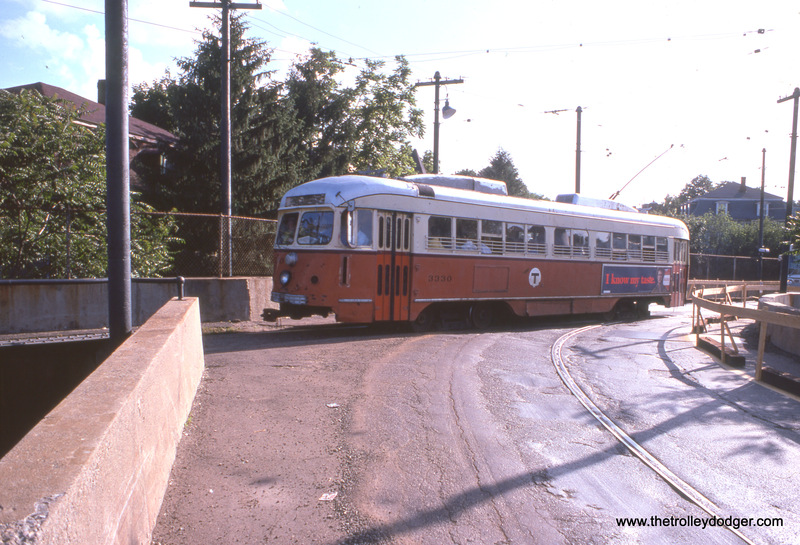 The photo of C&WT cars 127 and 104 is in Maywood at 19th and Railroad Avenue looking north. 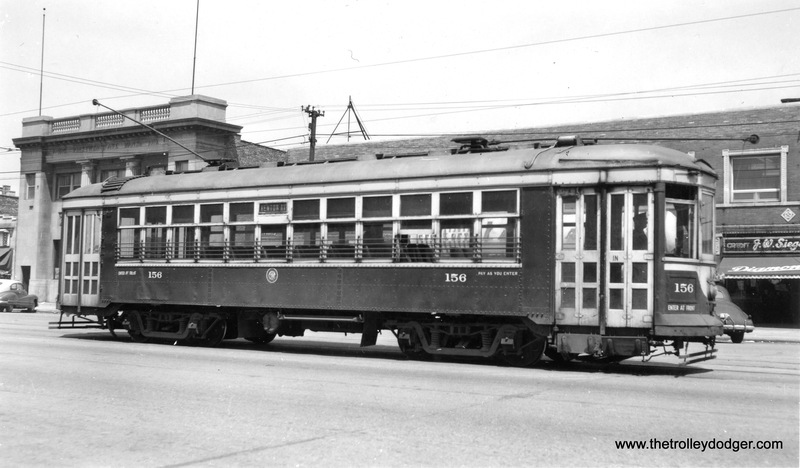 The photo of C&WT car 135 is looking east at Madison and 19th in Maywood. 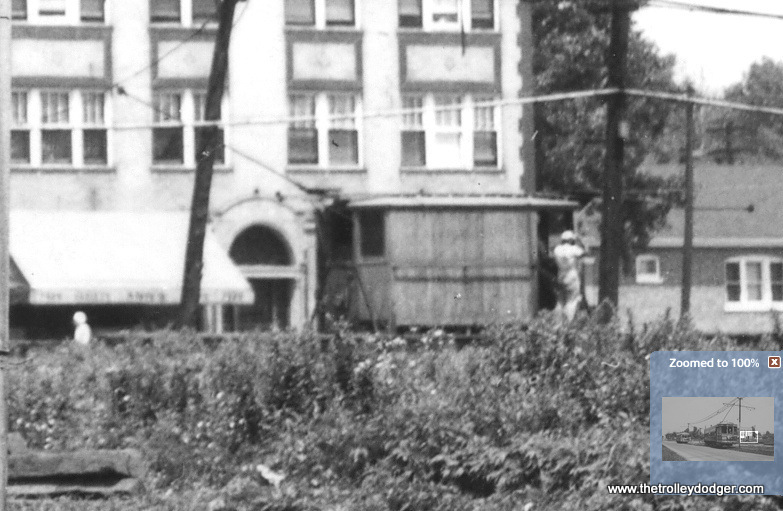 The apartment building is still there. 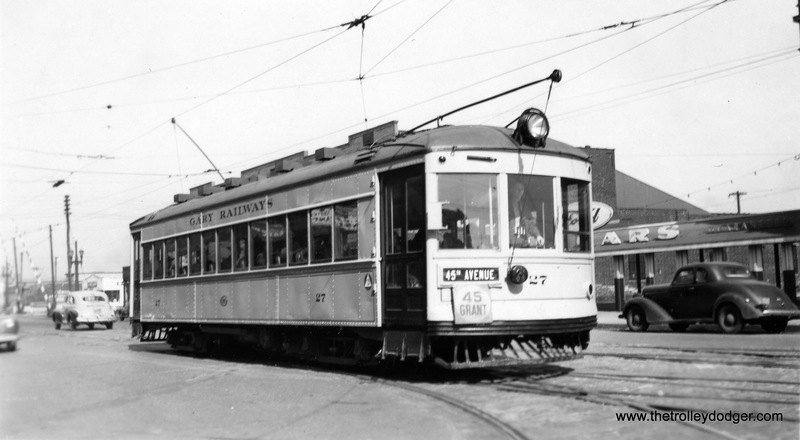 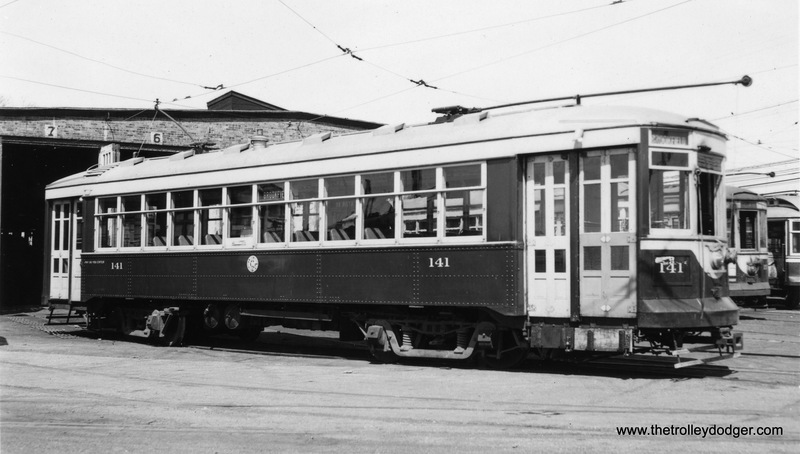 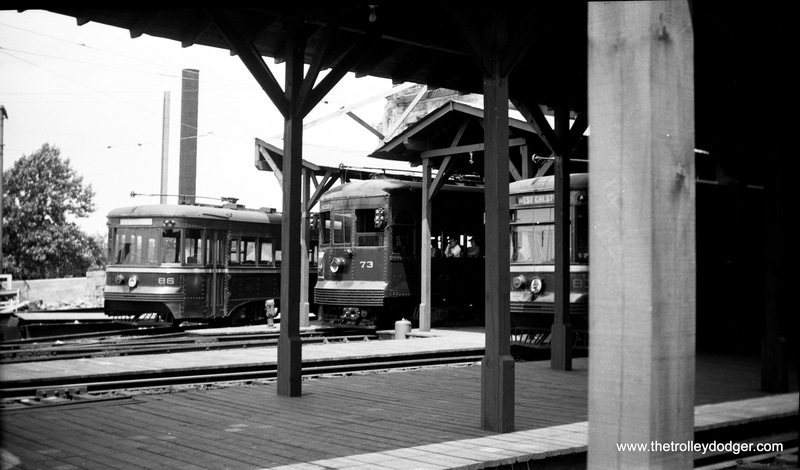 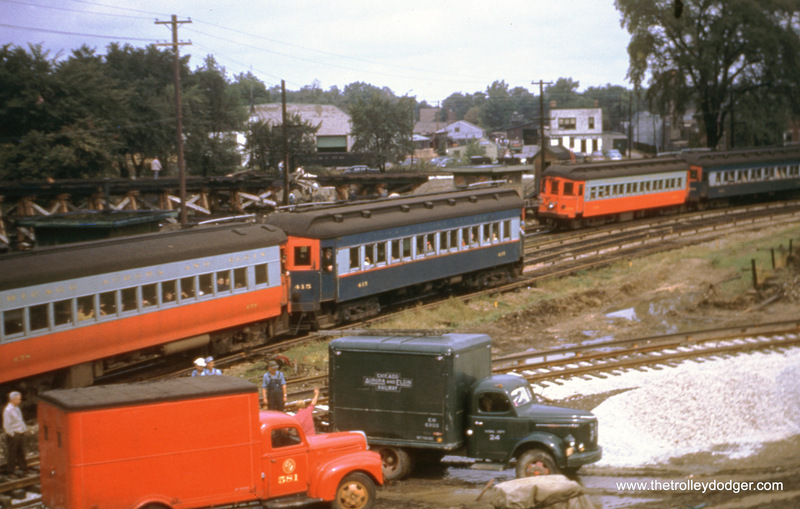 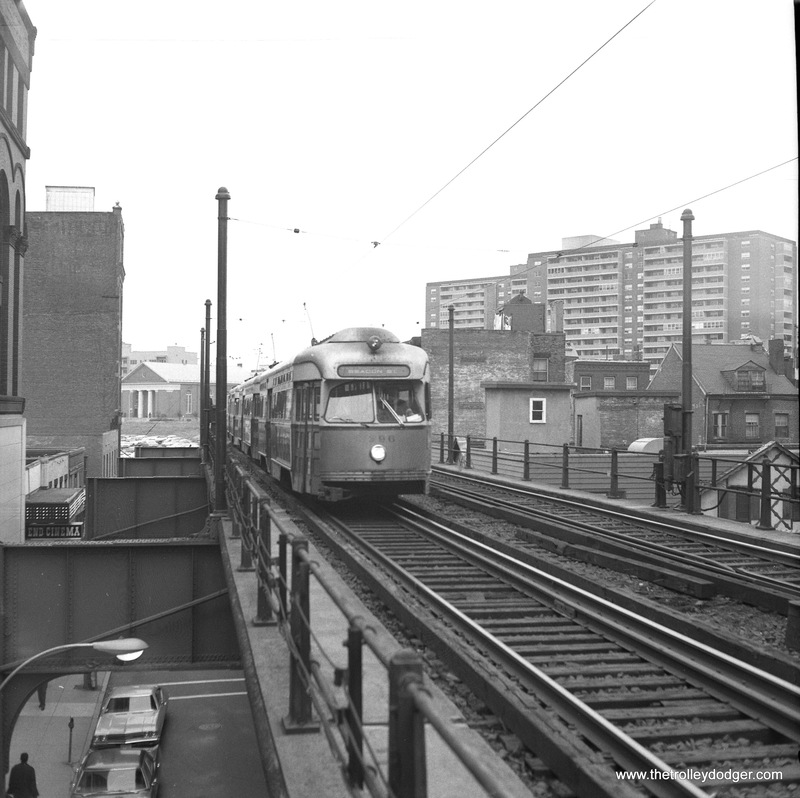 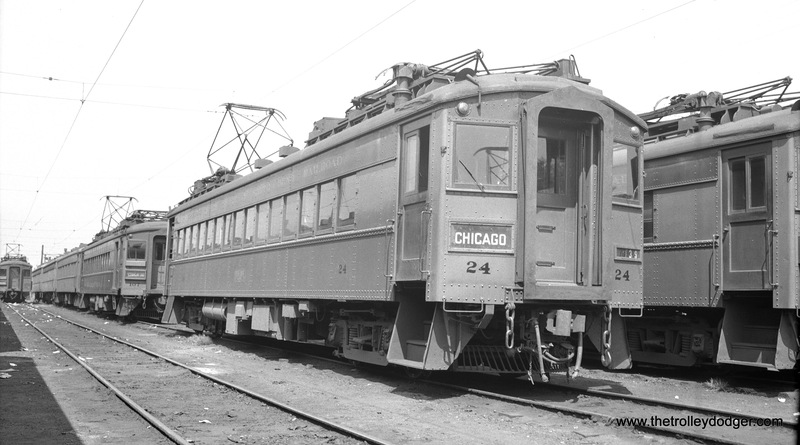 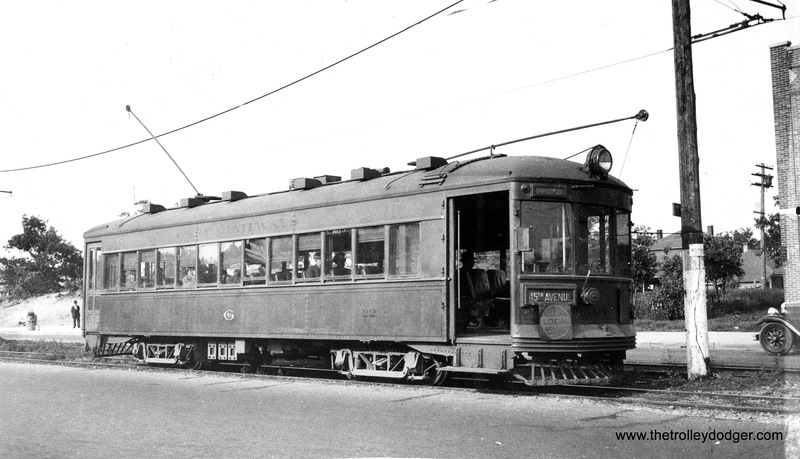 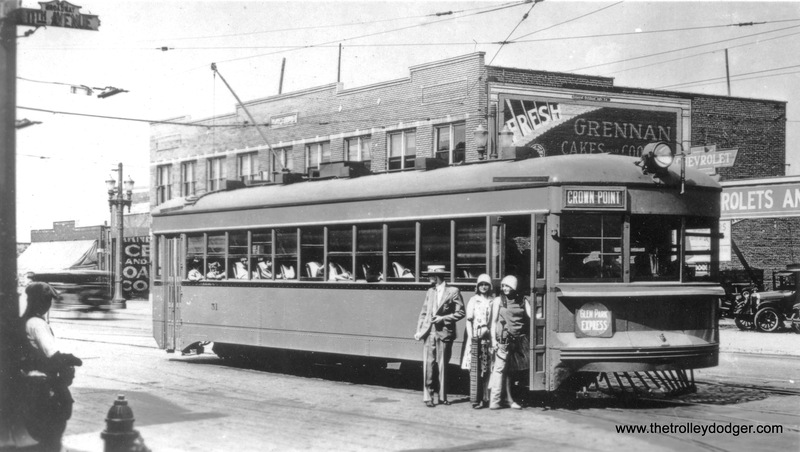 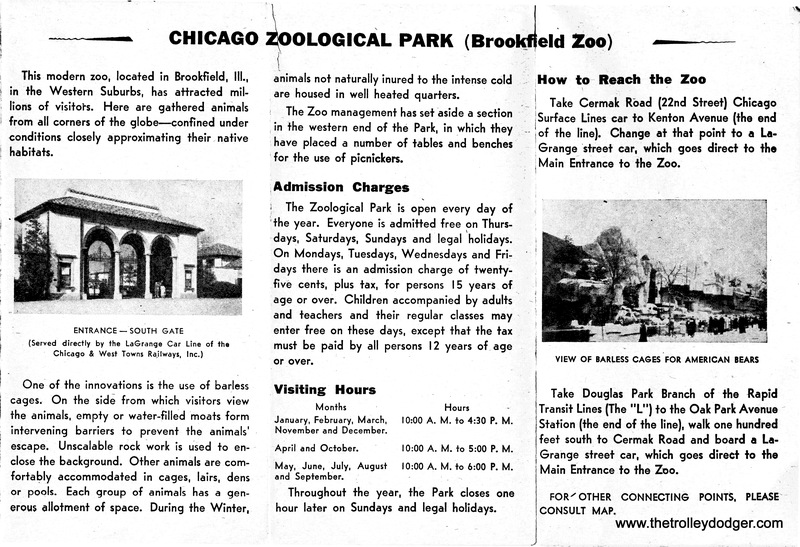 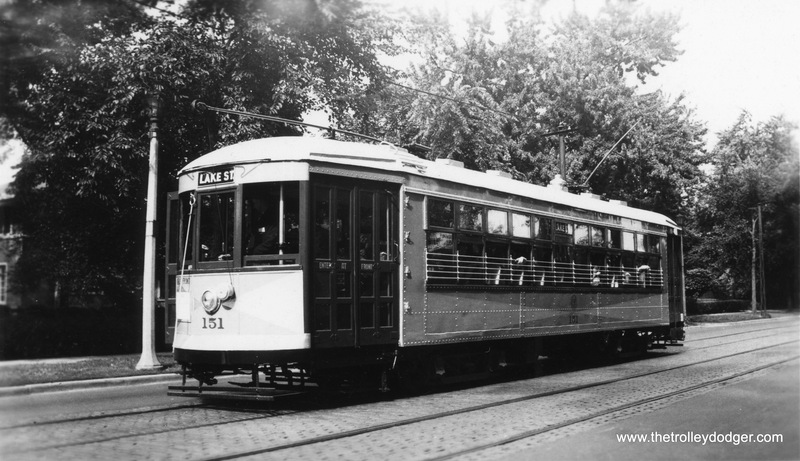 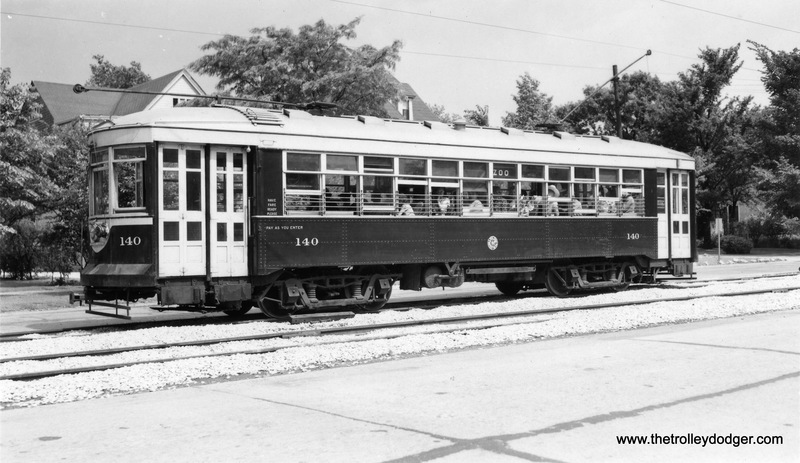 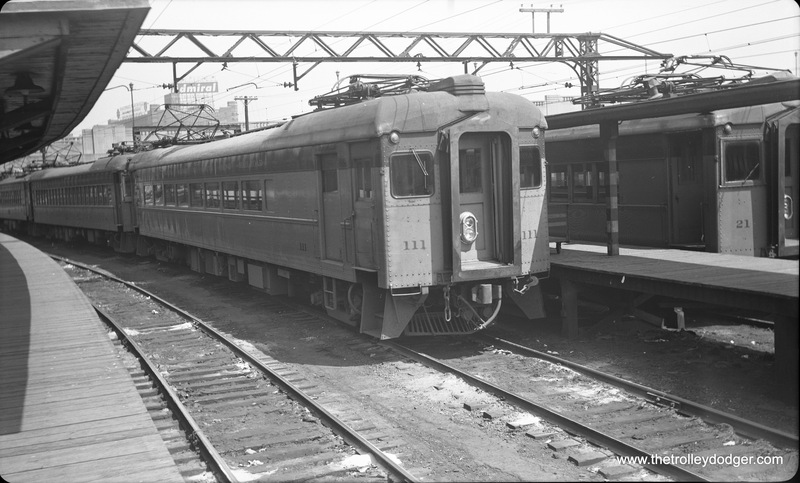 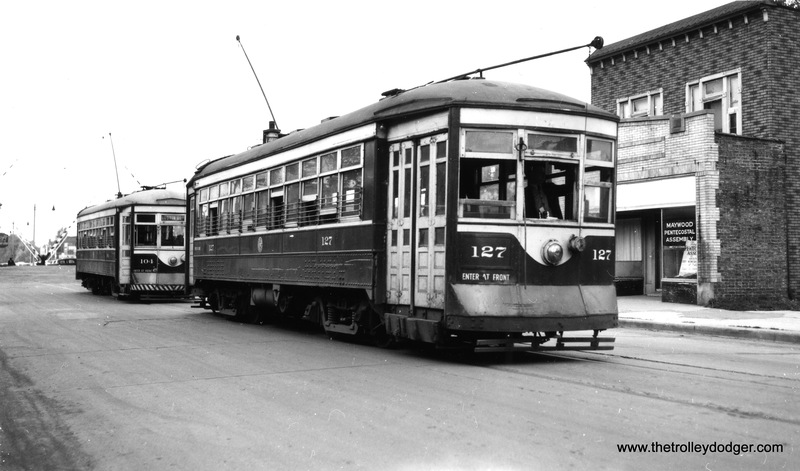 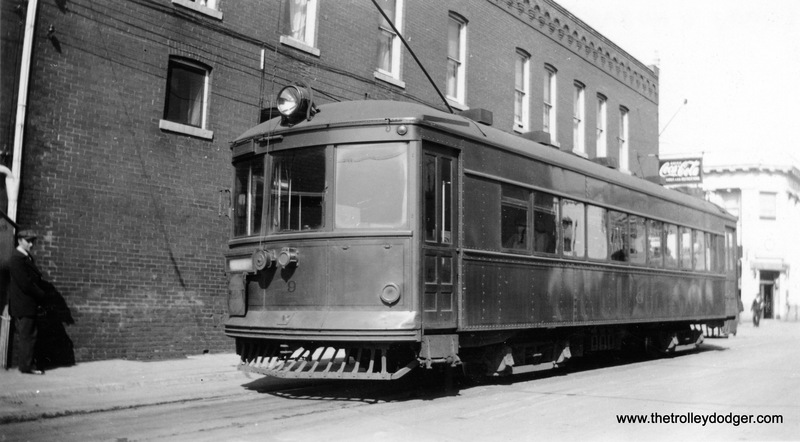 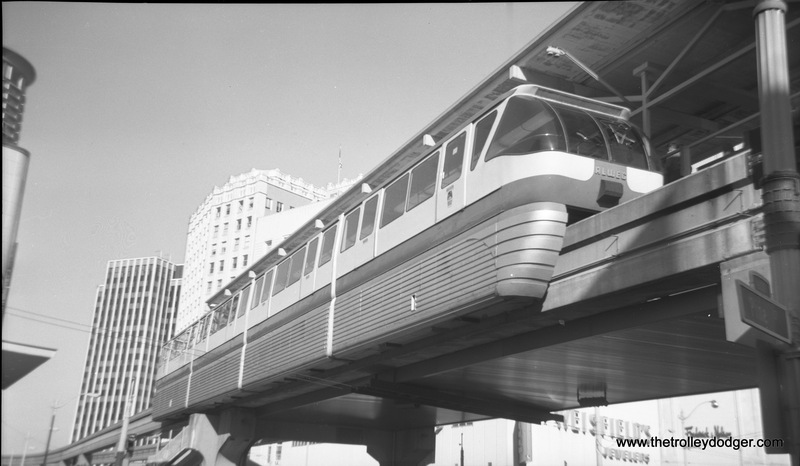 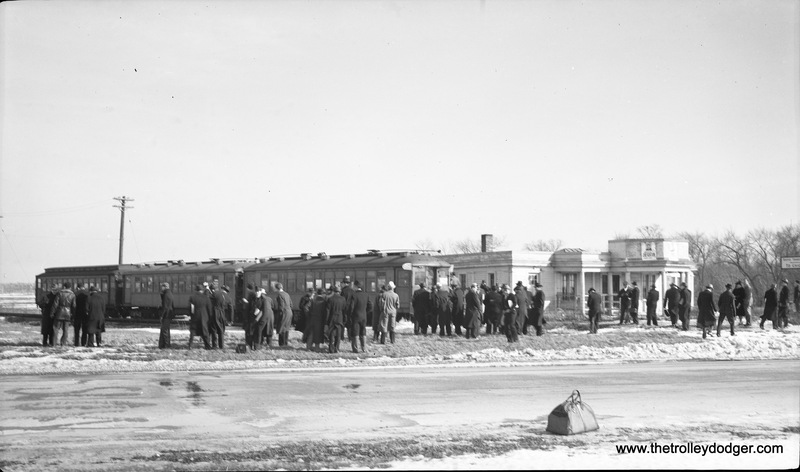 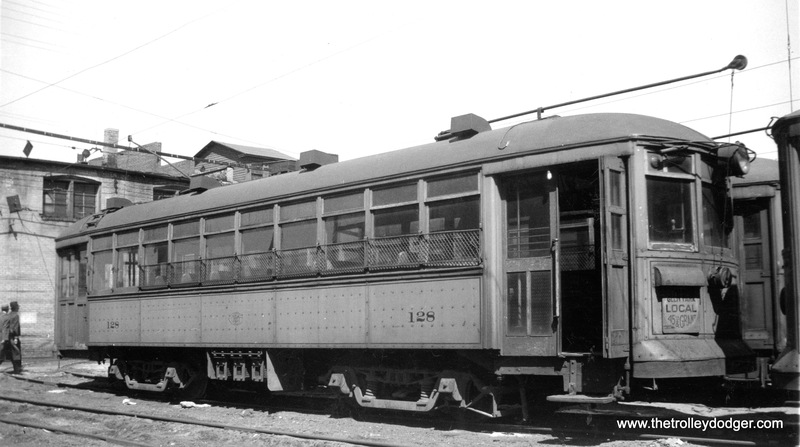 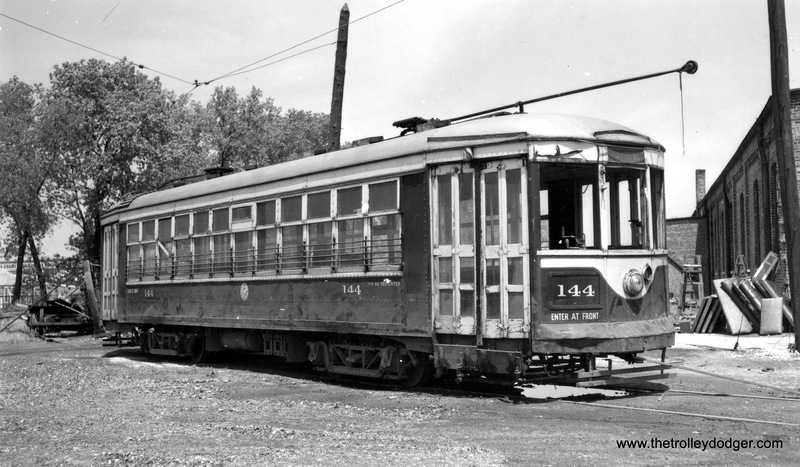 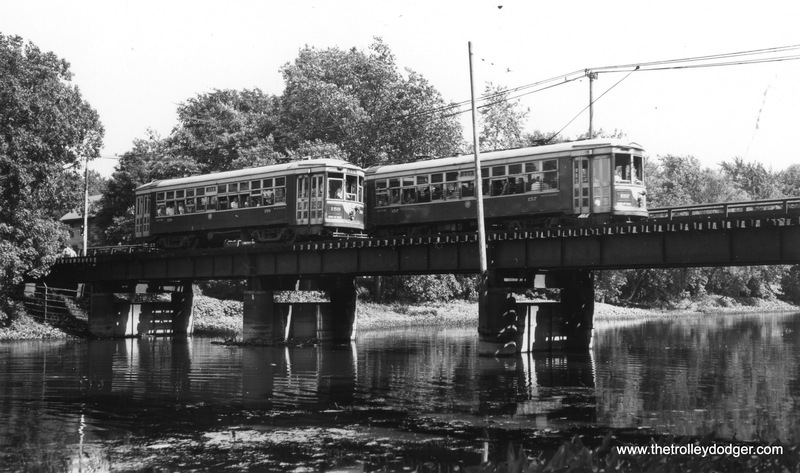 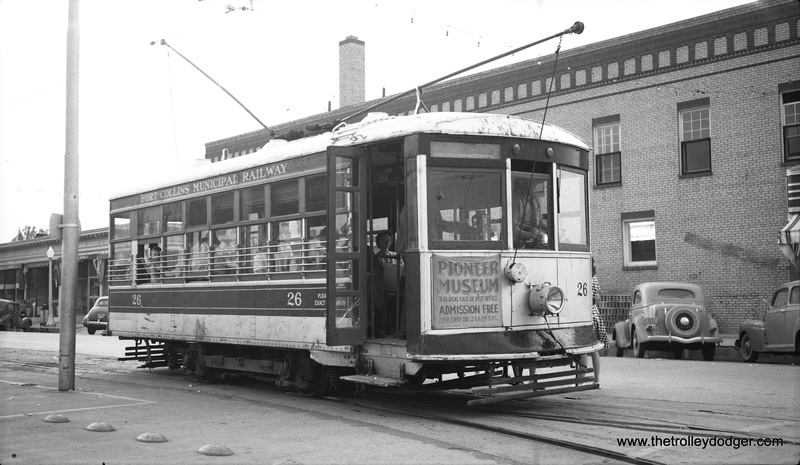 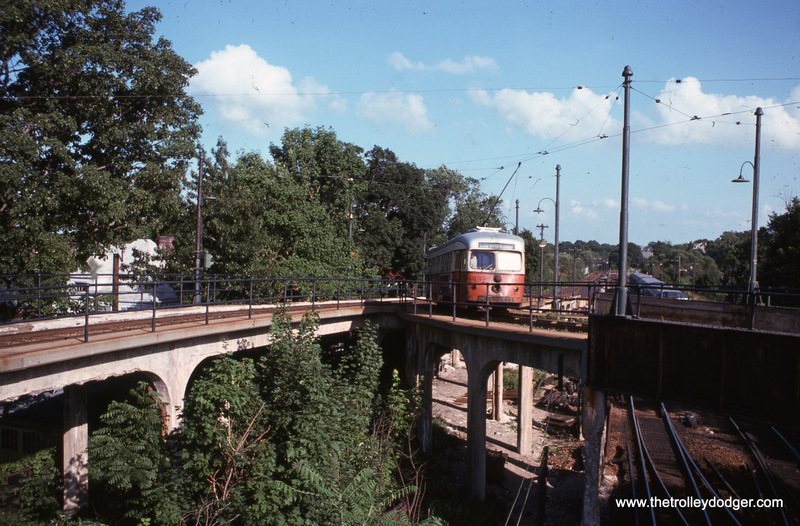 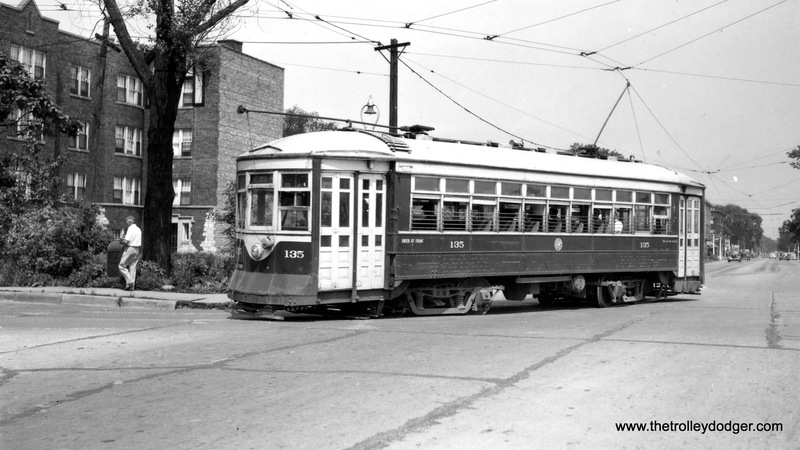 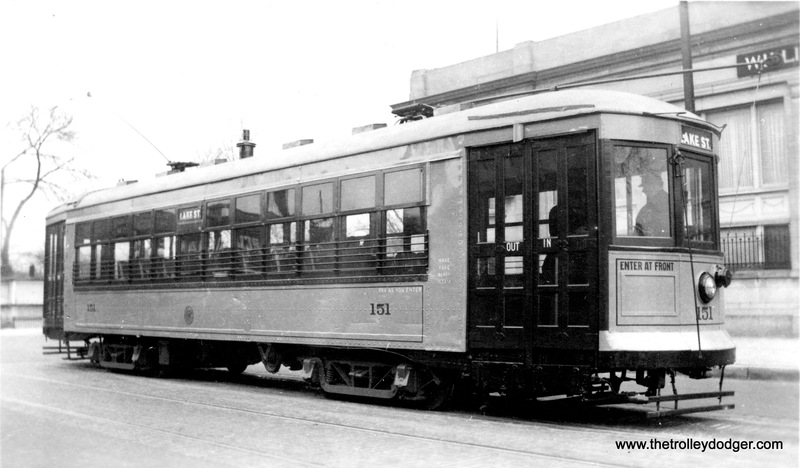 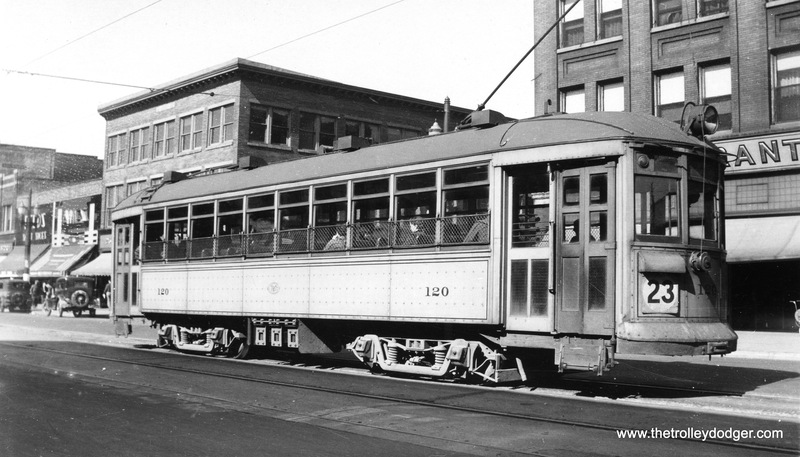 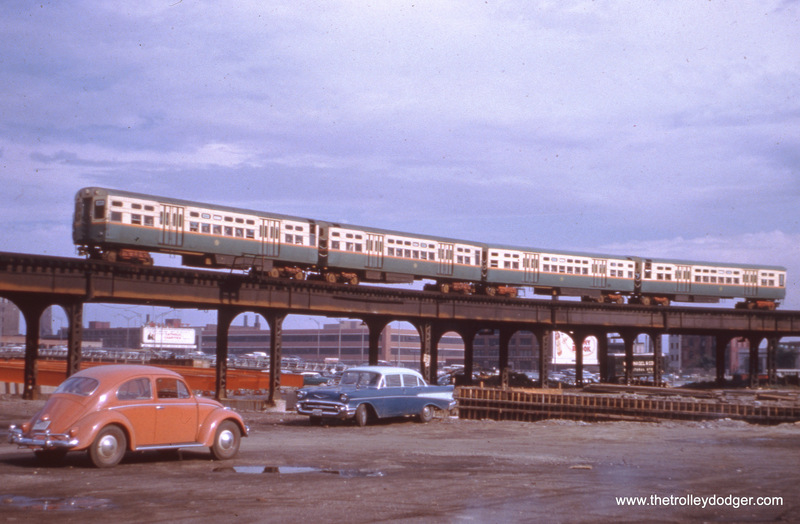 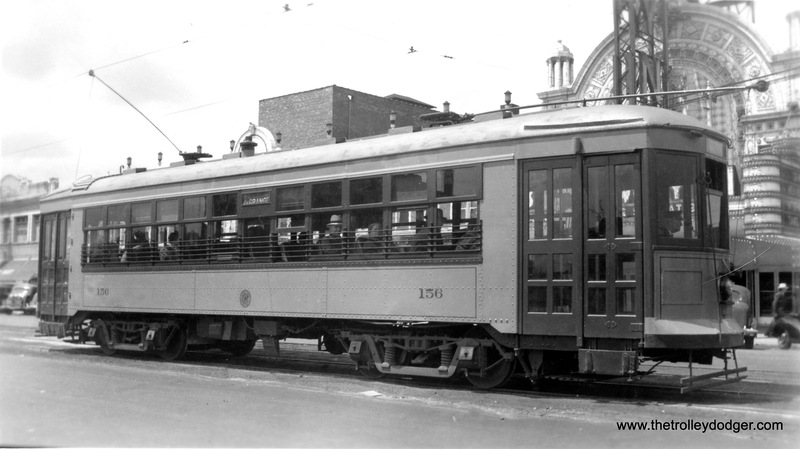 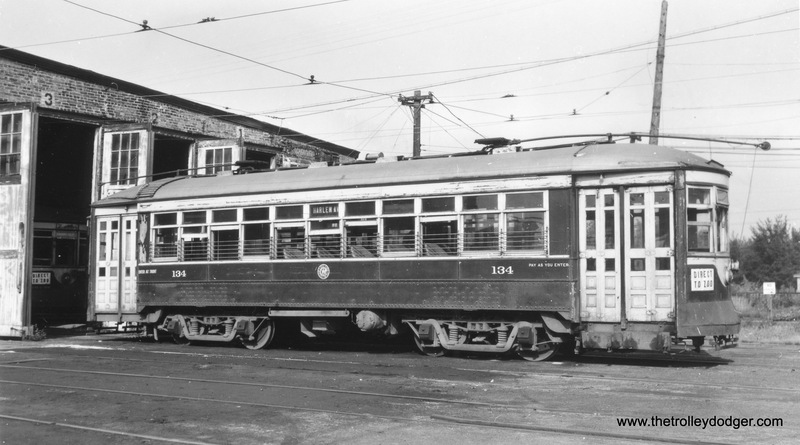 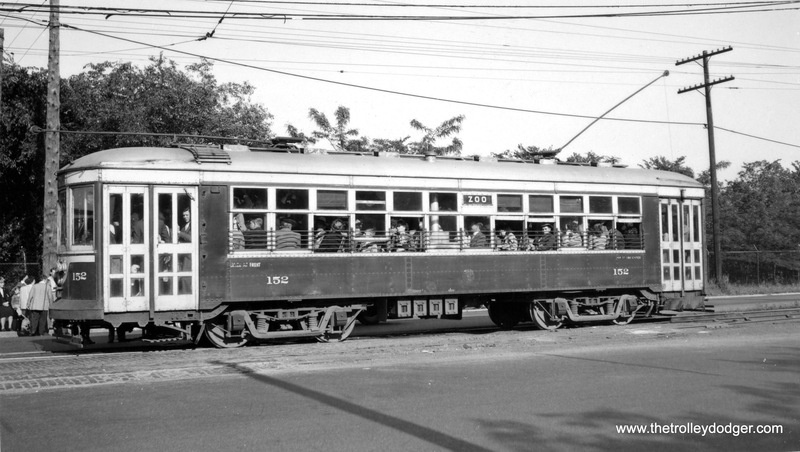 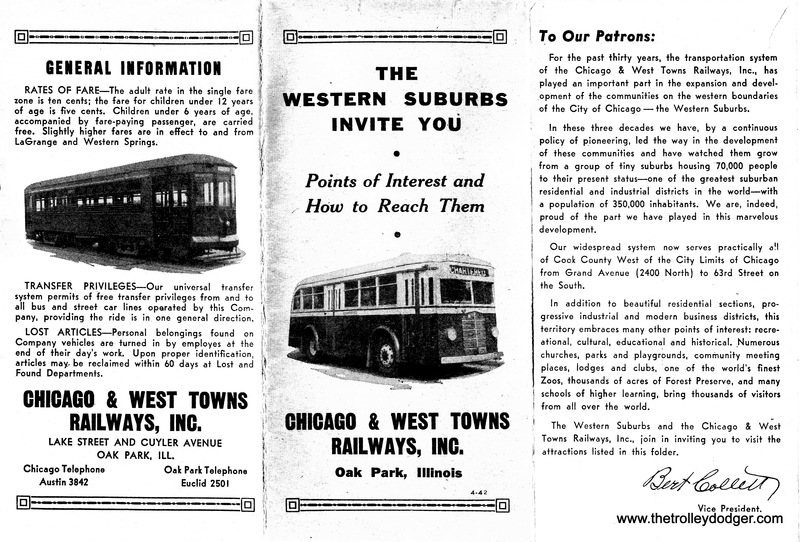 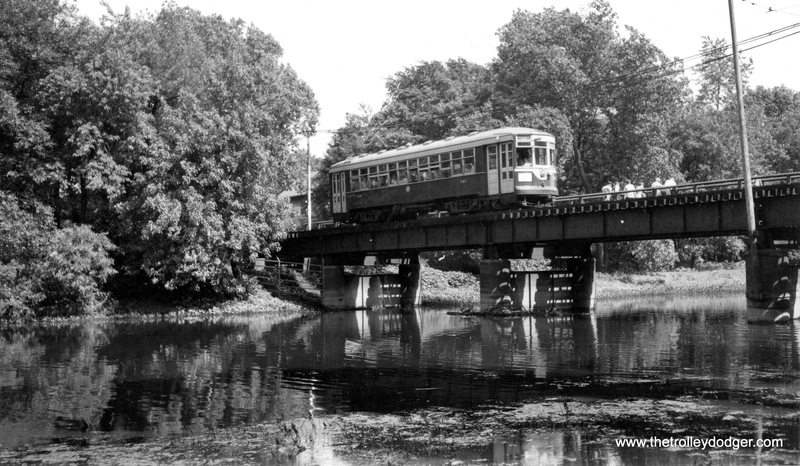 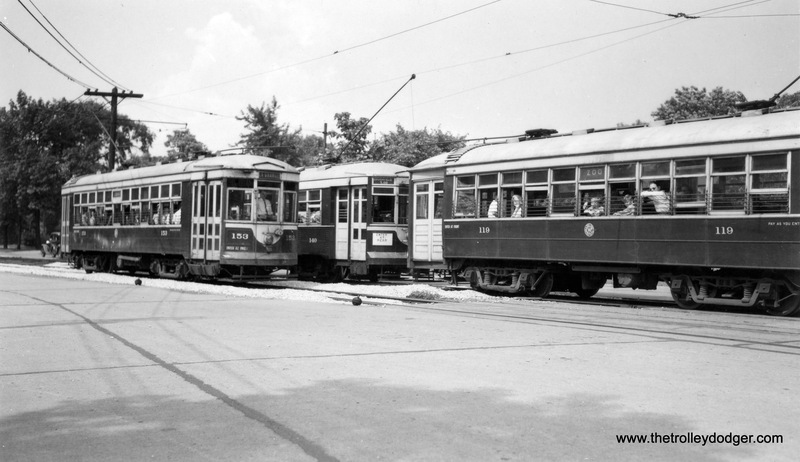 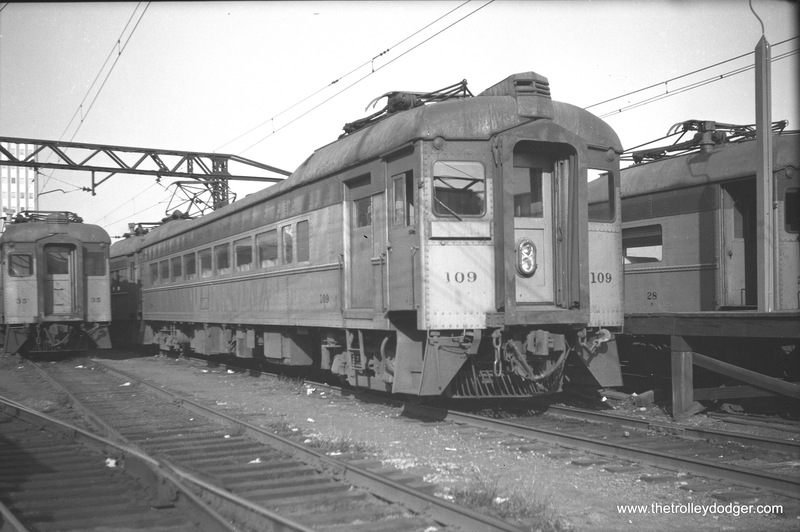 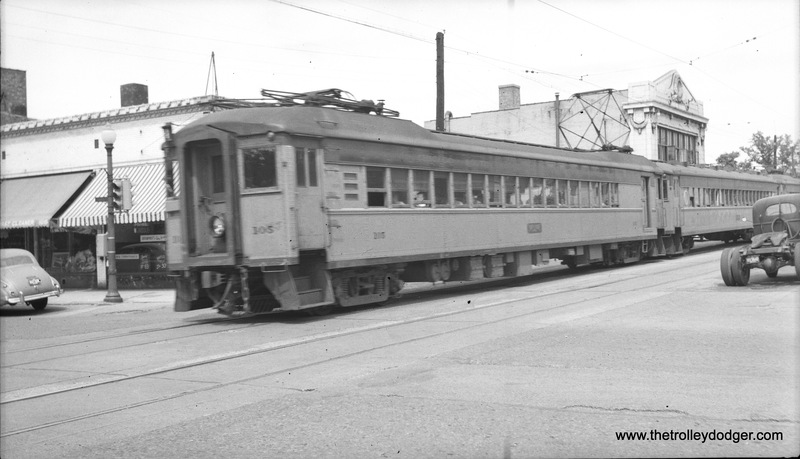 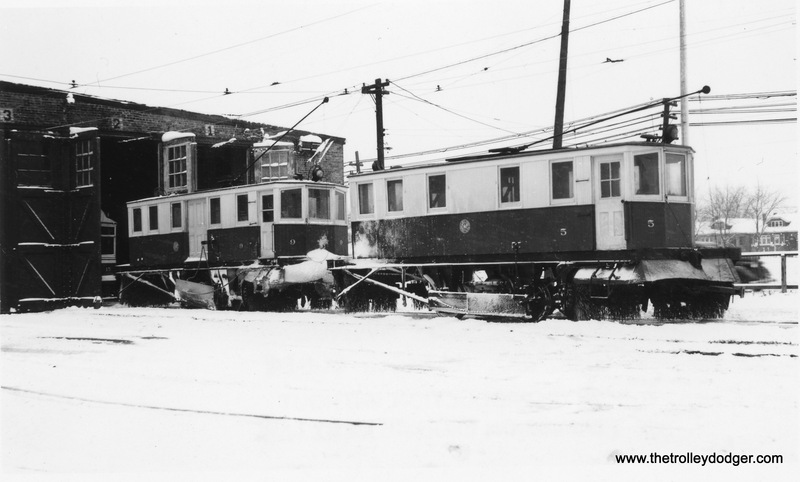 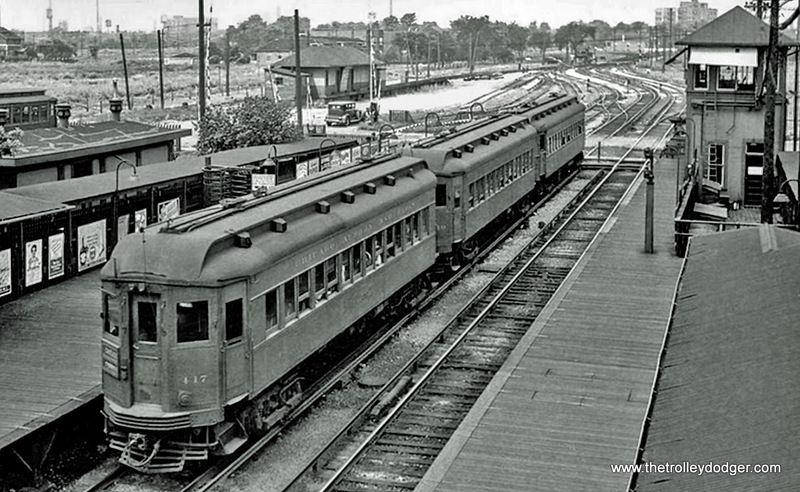 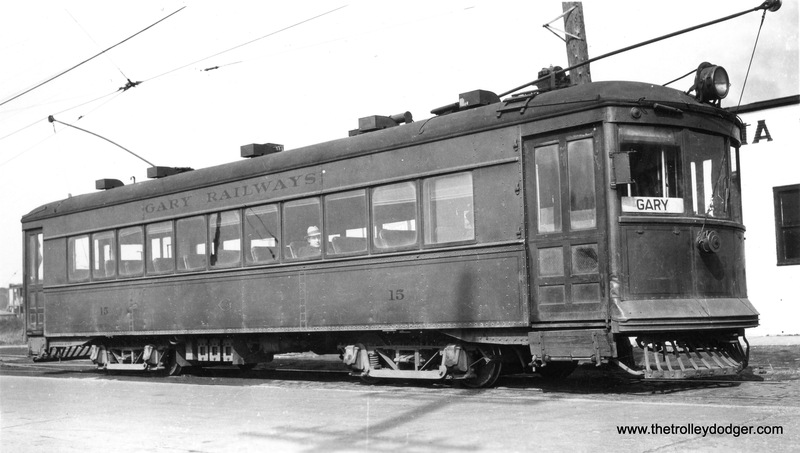 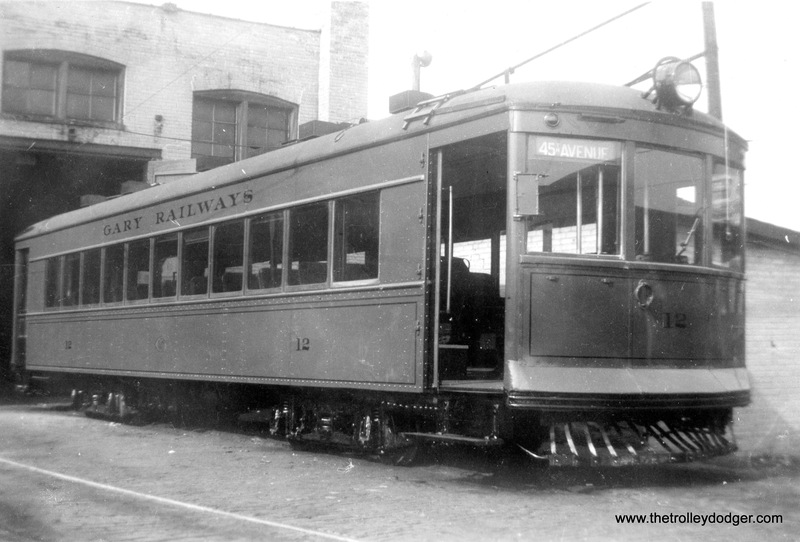 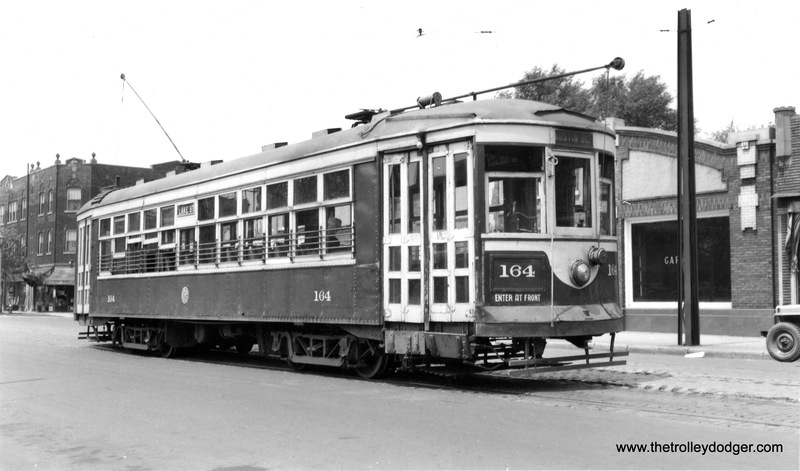 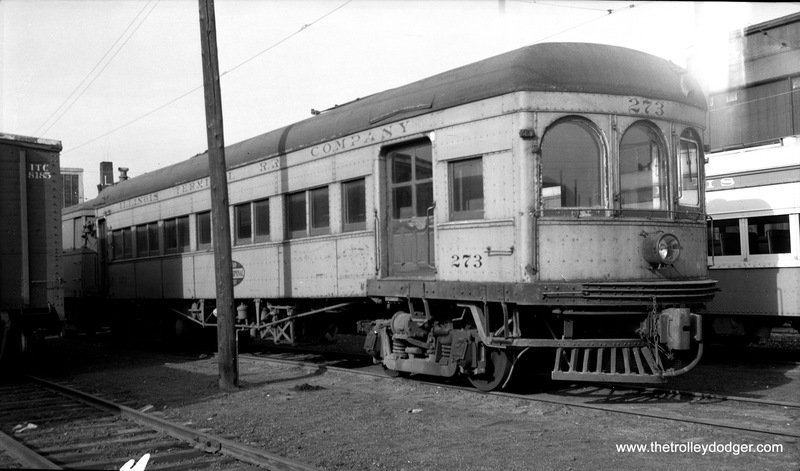 The photo of C&WT cars 132 and 136 may have been taken at Lake and 25th, the west end of the Lake Street line. 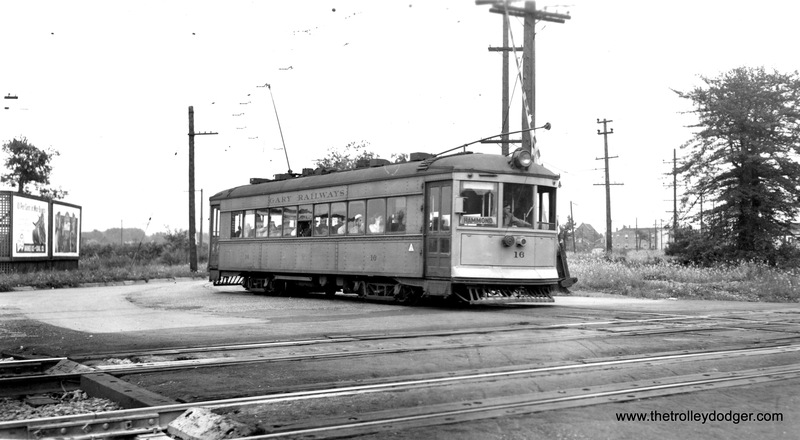 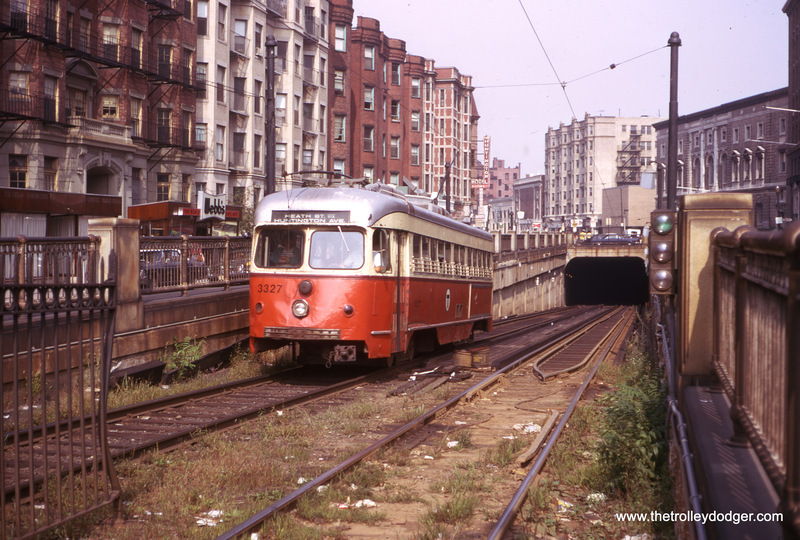 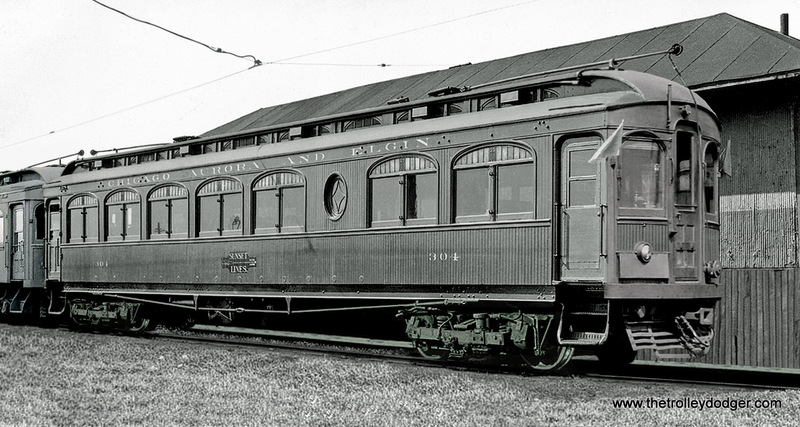 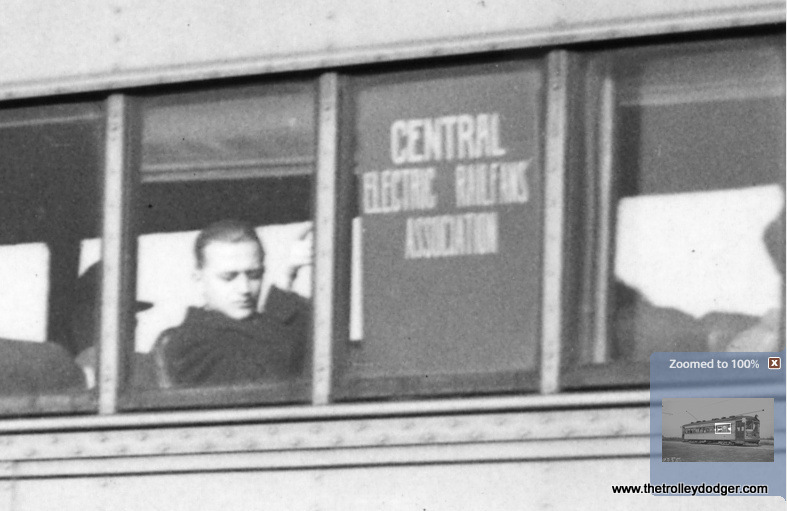 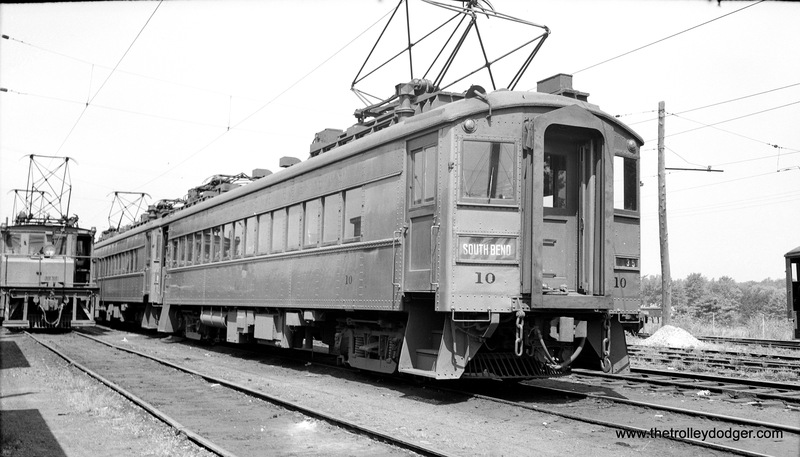 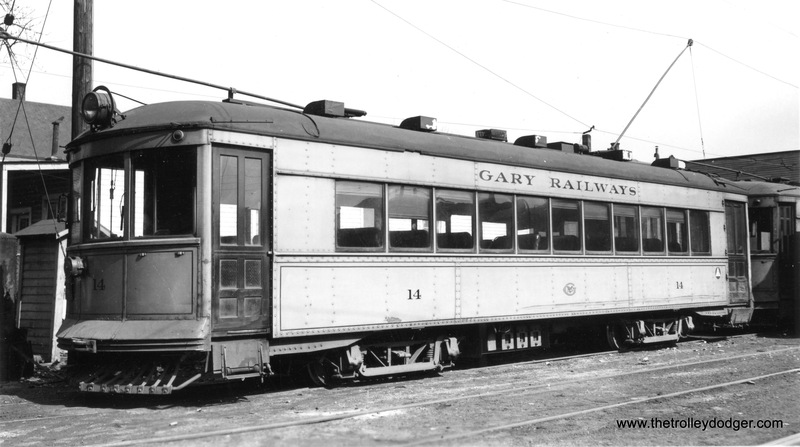 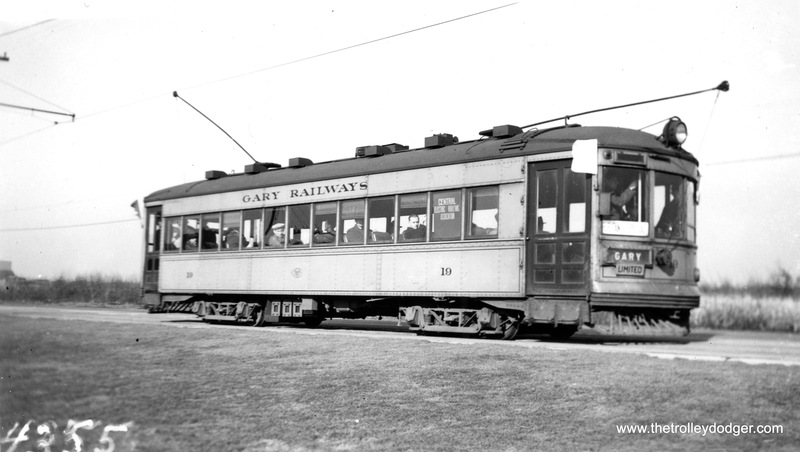 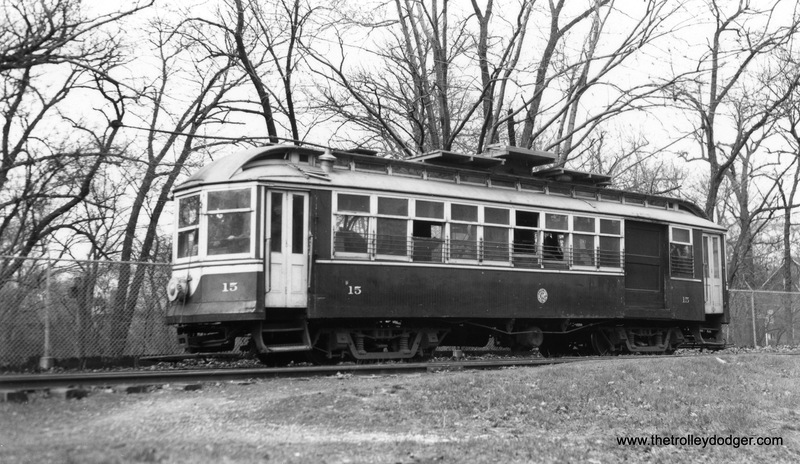 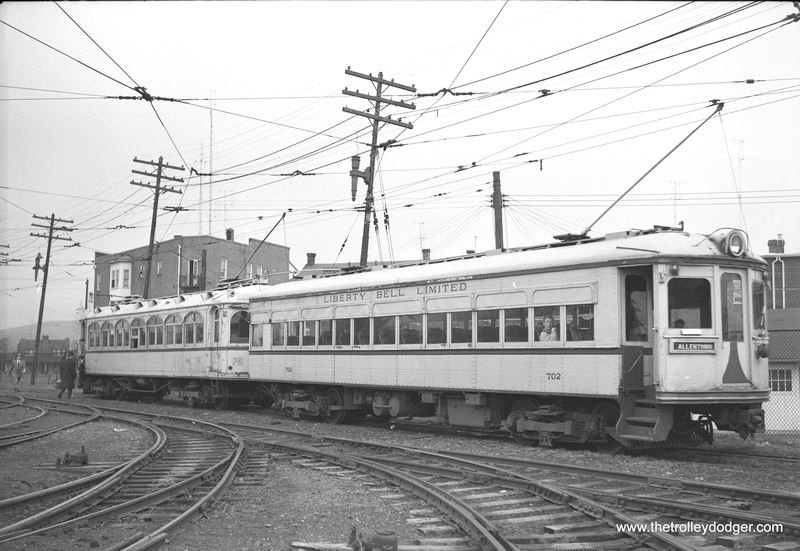 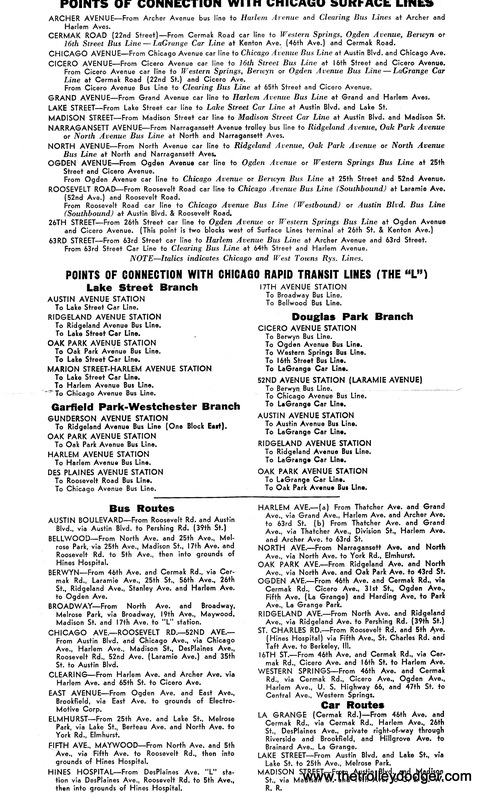 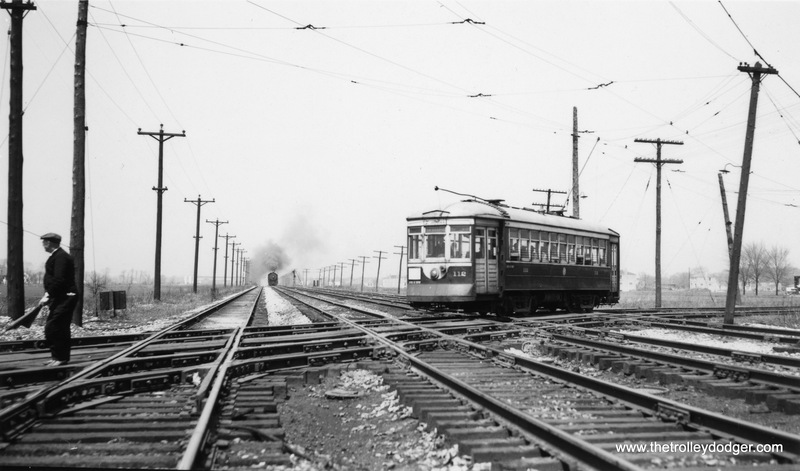 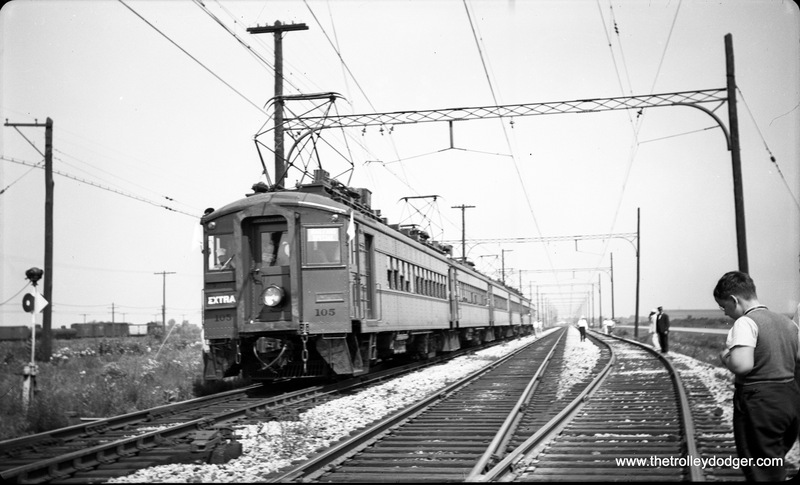 Car 68 is Lake Shore Electric, not CLS&SB, built by Brill in 1903. 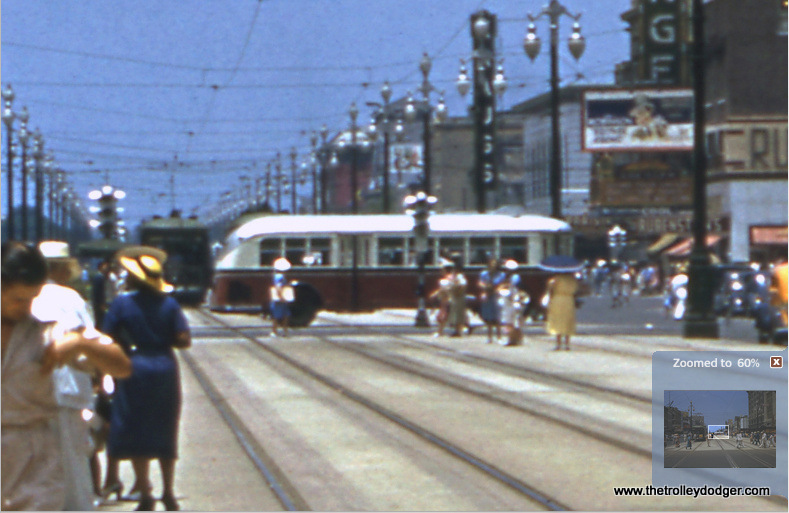 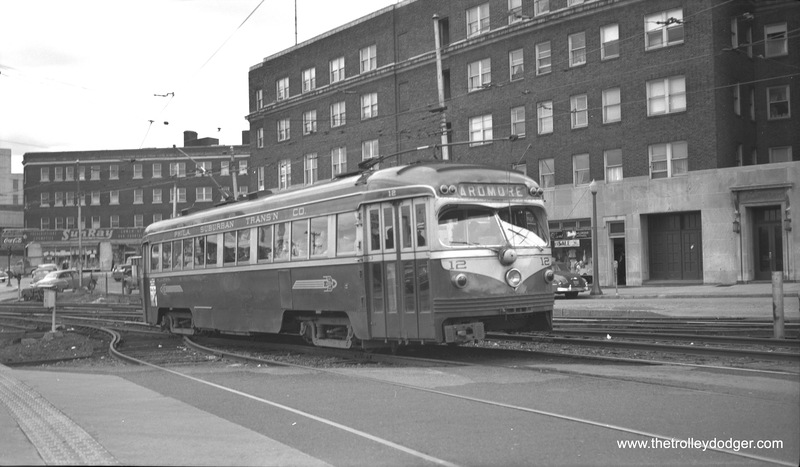 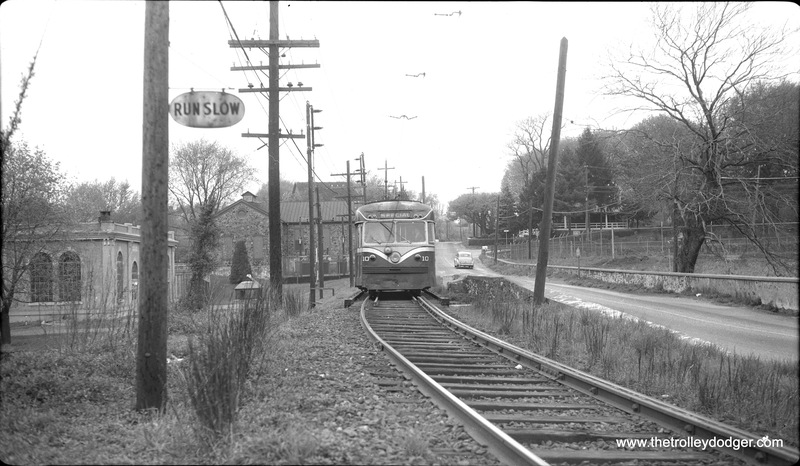 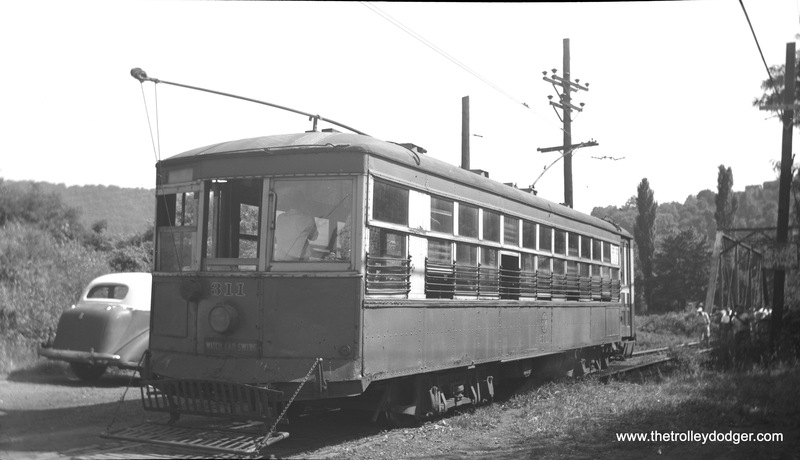 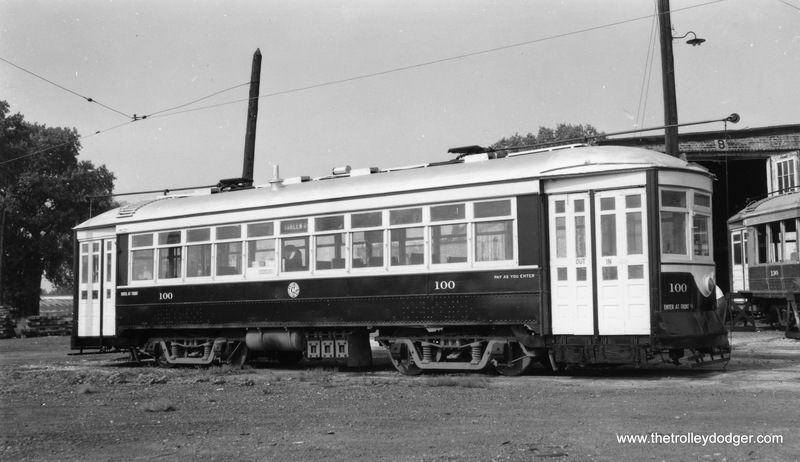 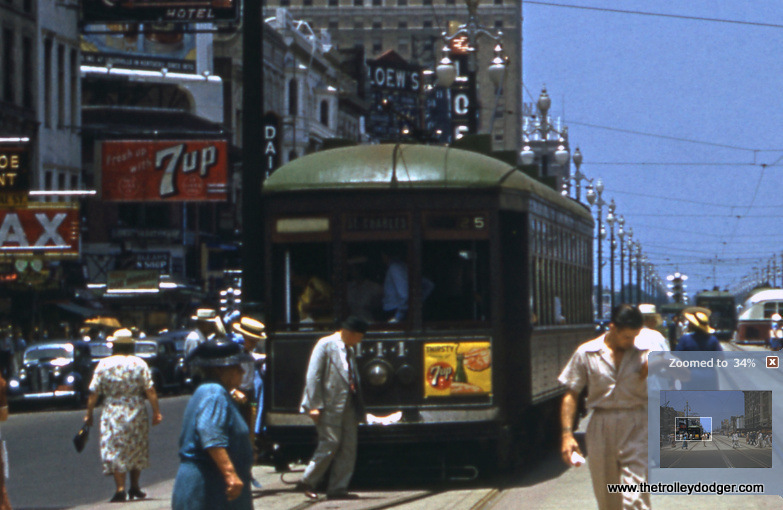 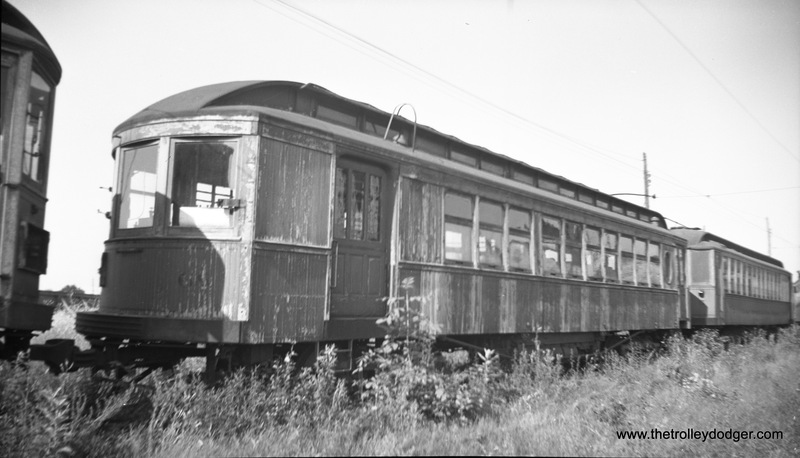 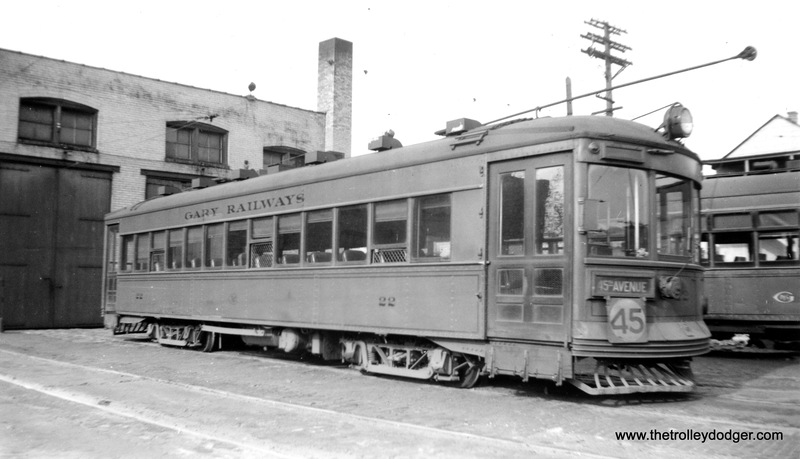 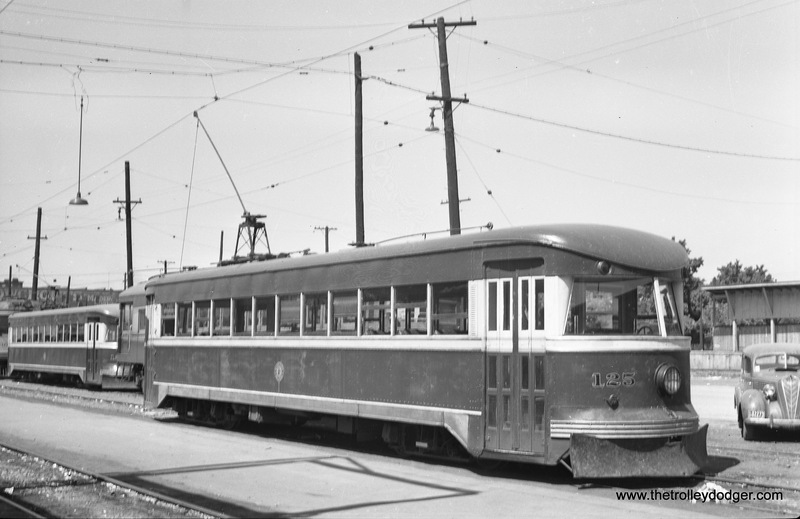 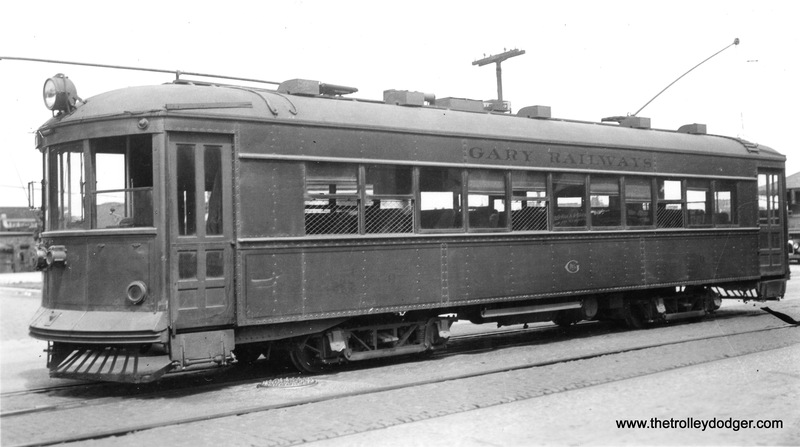 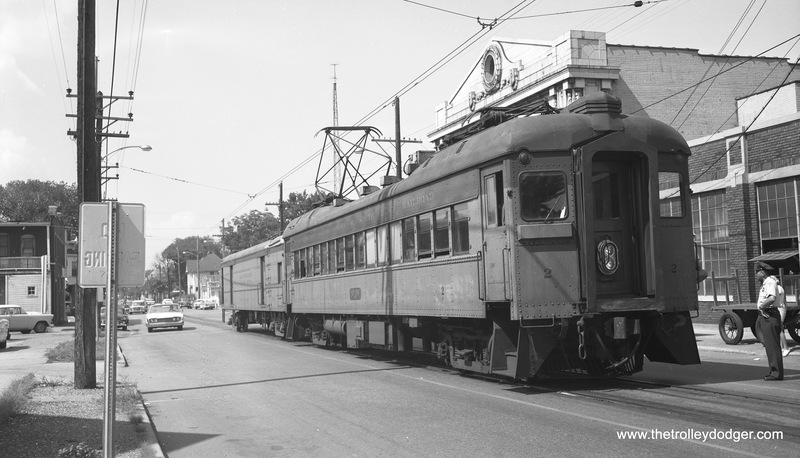 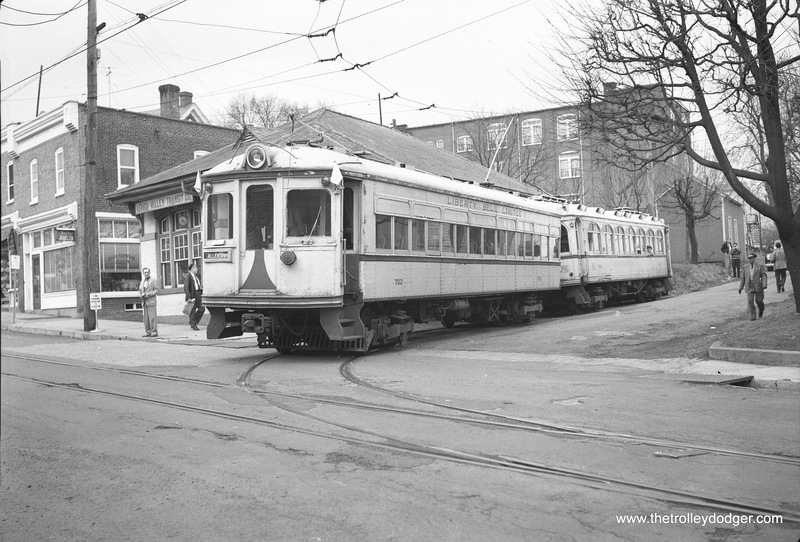 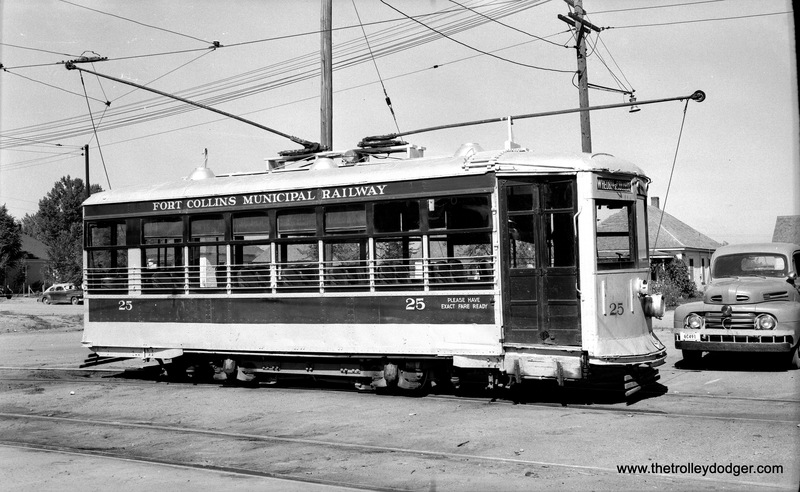 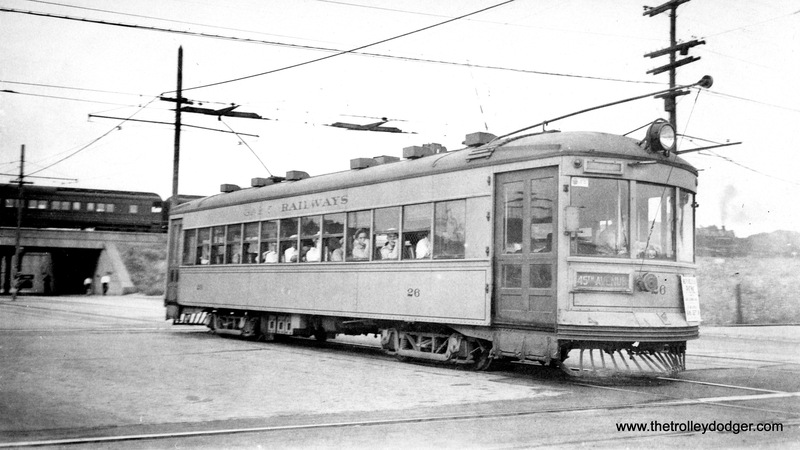 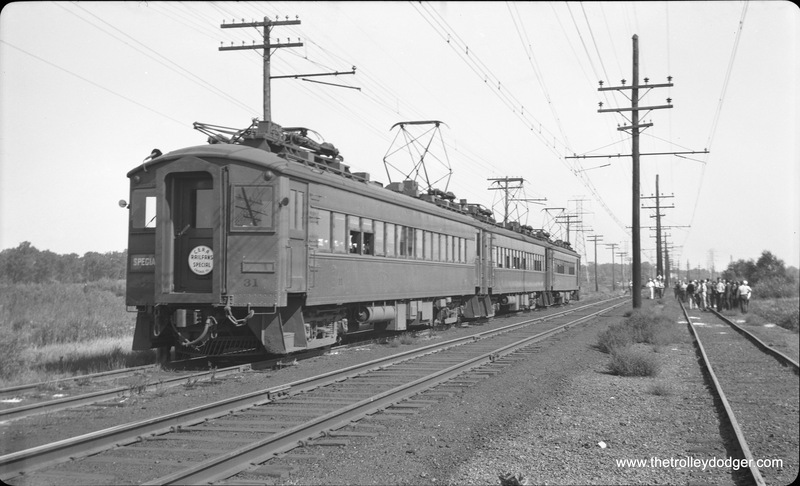 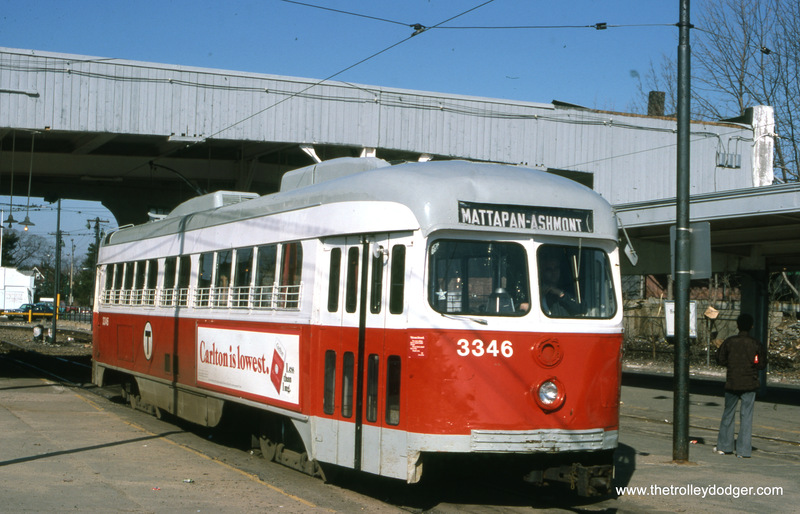 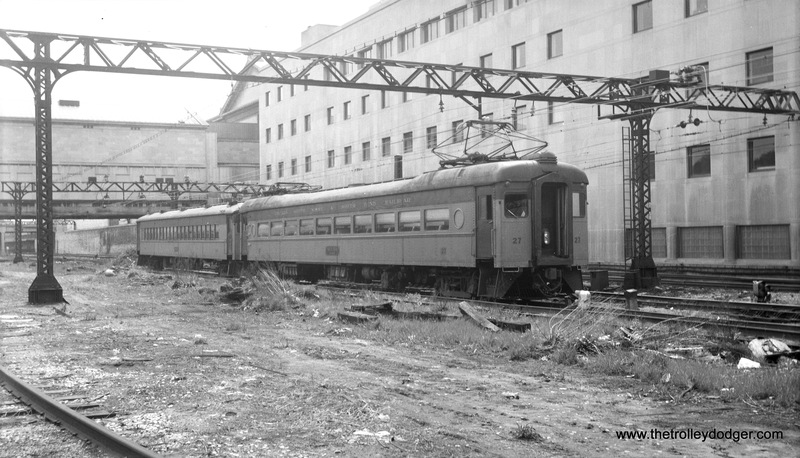 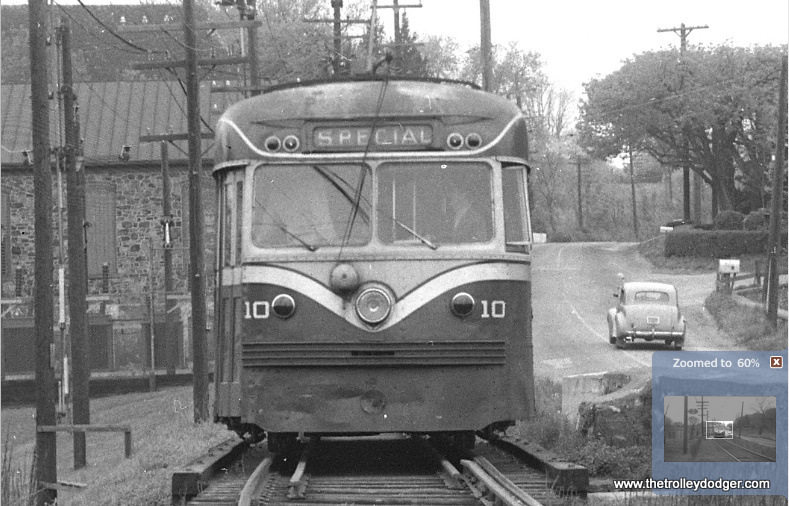 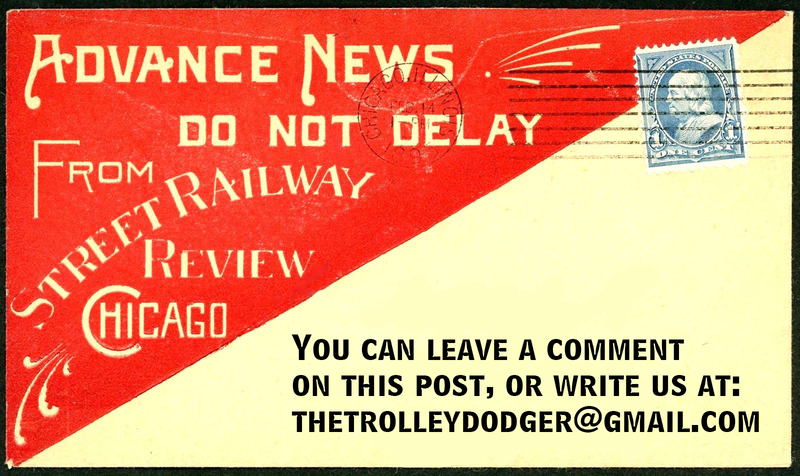 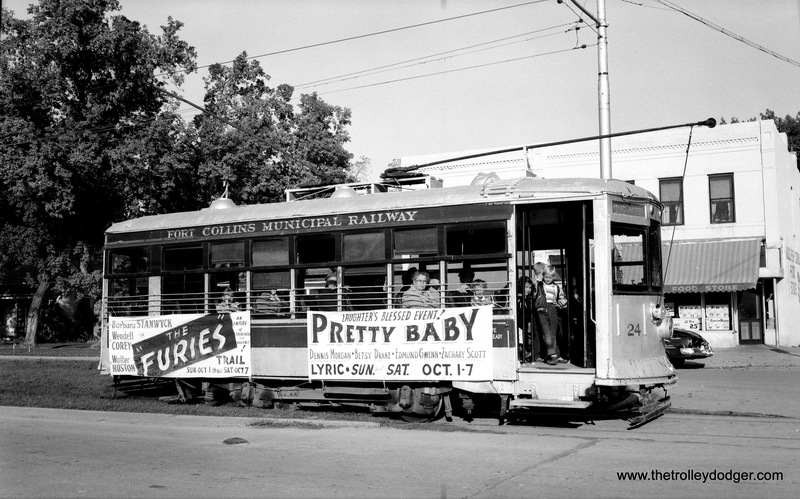 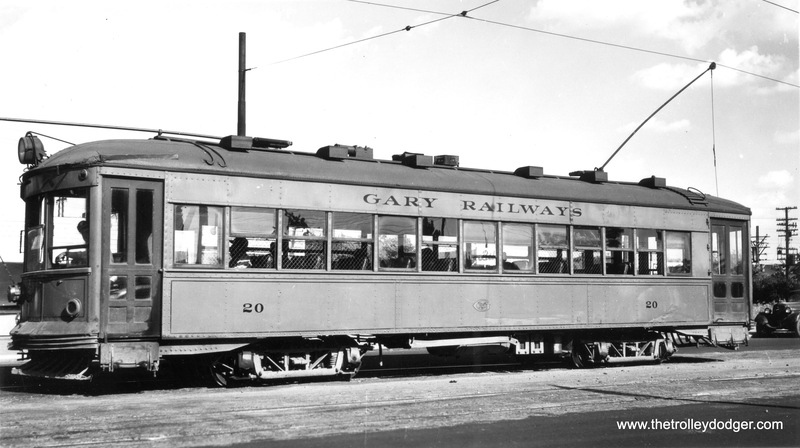 The car behind it is one of the LSE’s Barney & Smith interurban cars. 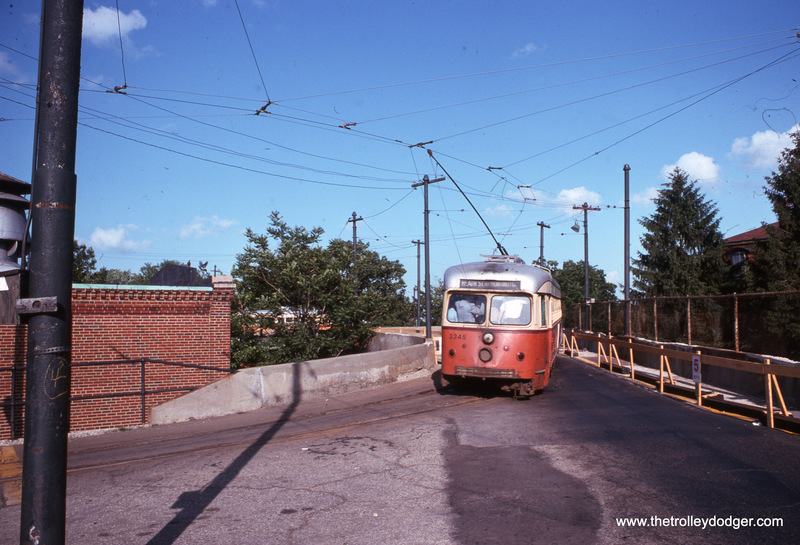 The LVT fan trip cars are sitting on the spur at the LVT station in Perkasie at Walnut and Penn St. 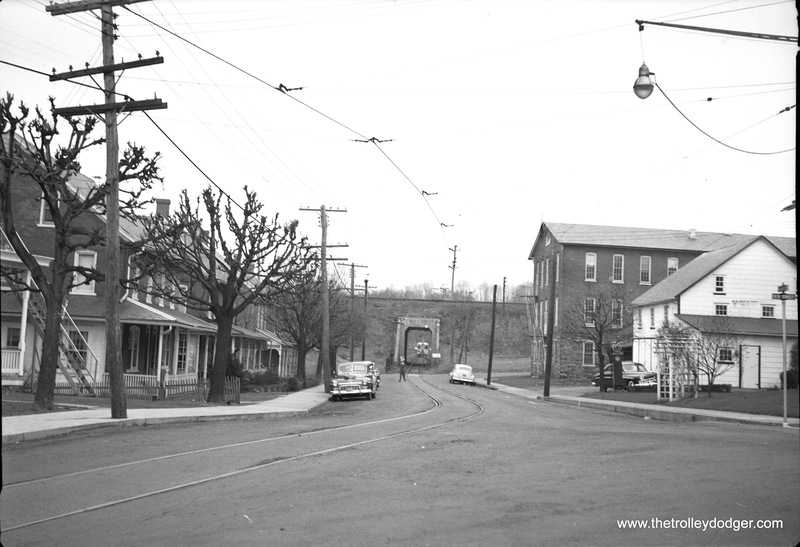 The “tunnel” photo is the underpass in Perkasie under the Reading tracks. 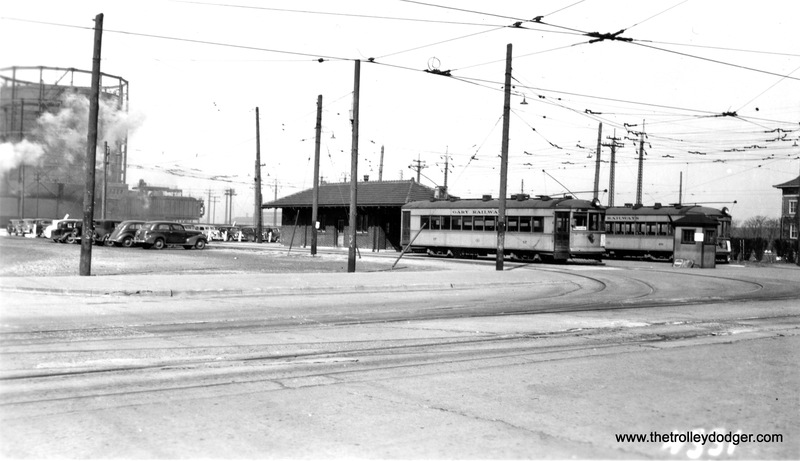 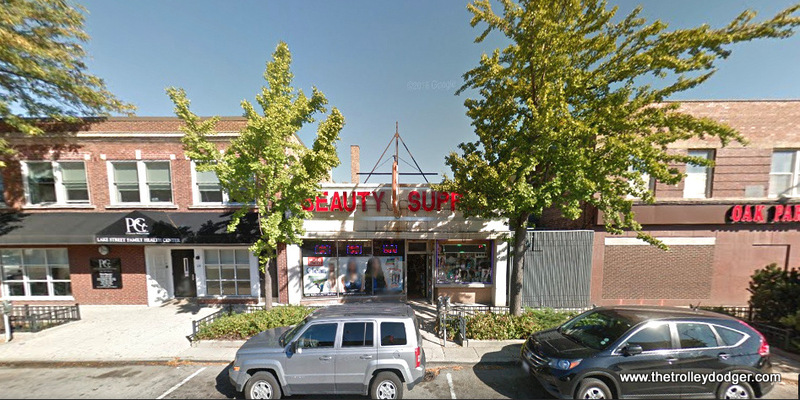 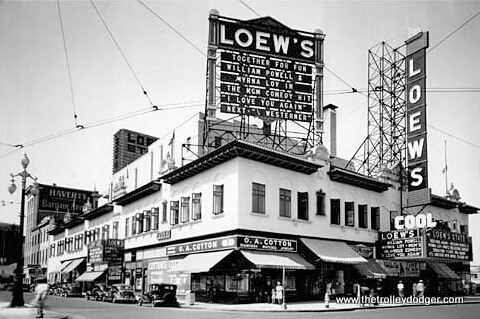 Location is Walnut and 7th. 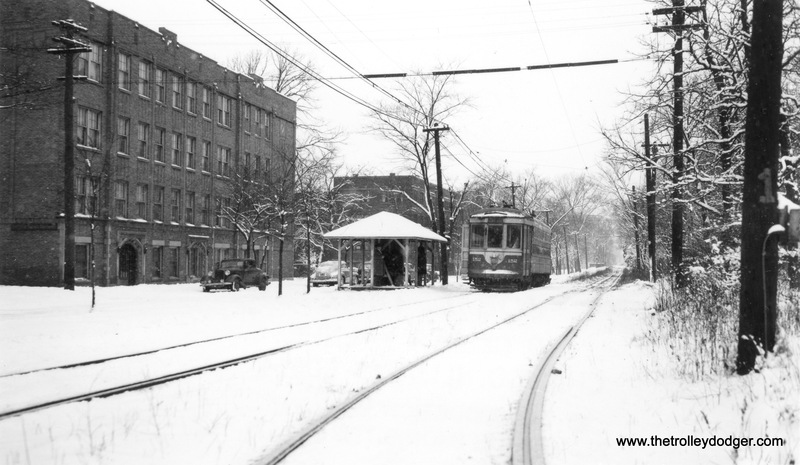 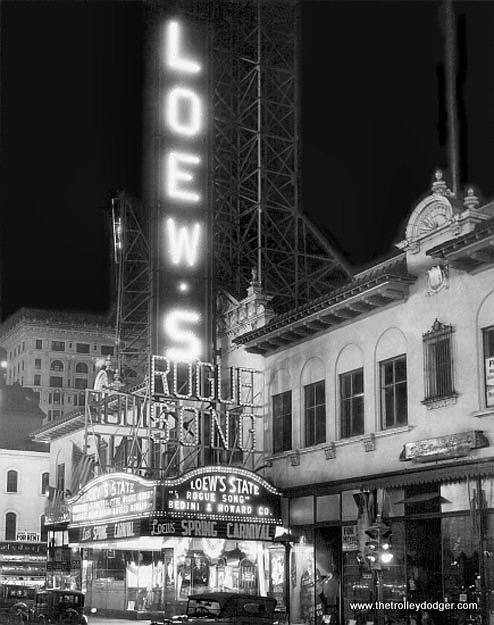 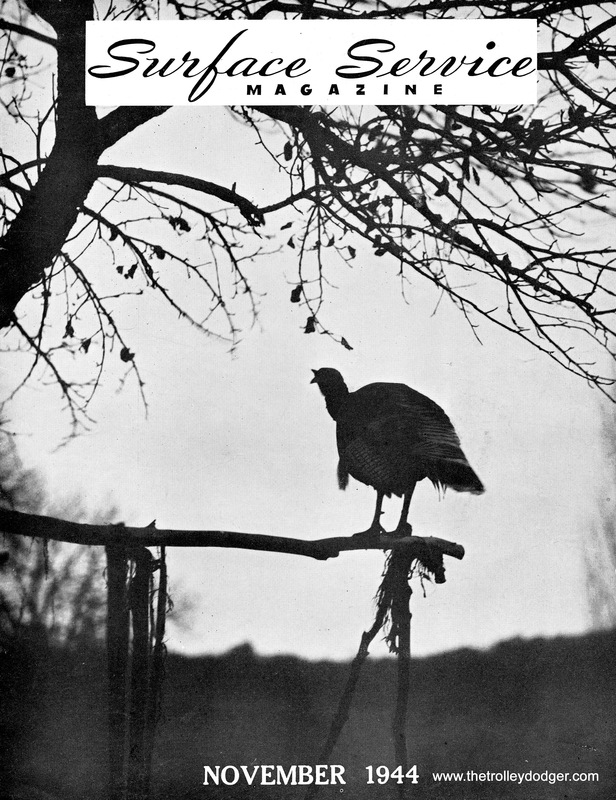 The photo was taken from a block back at about 6th and Walnut. 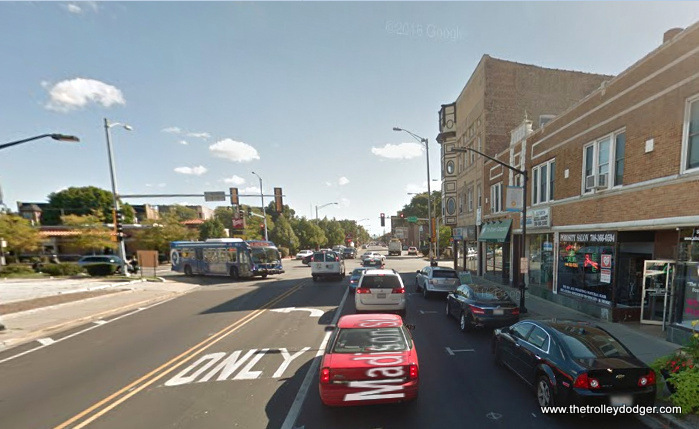 Have fun on map quest or google maps. 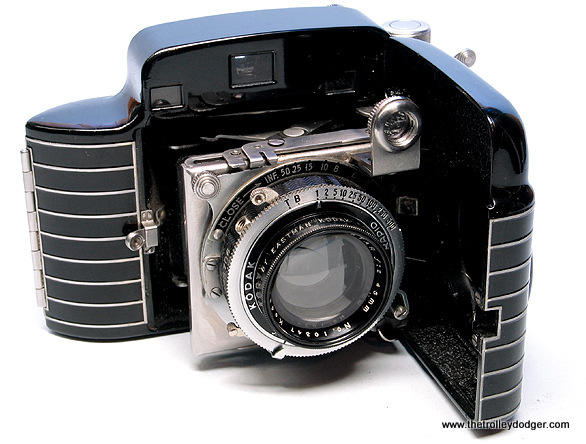 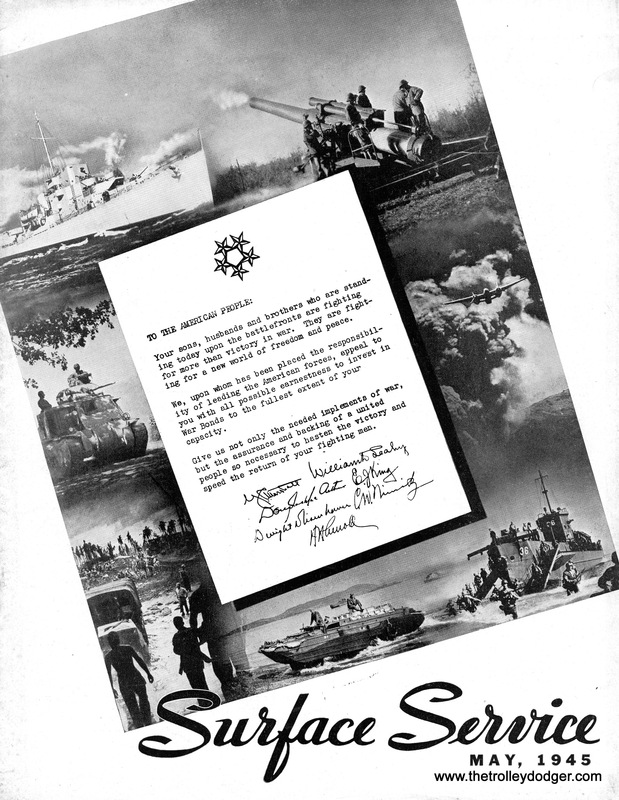 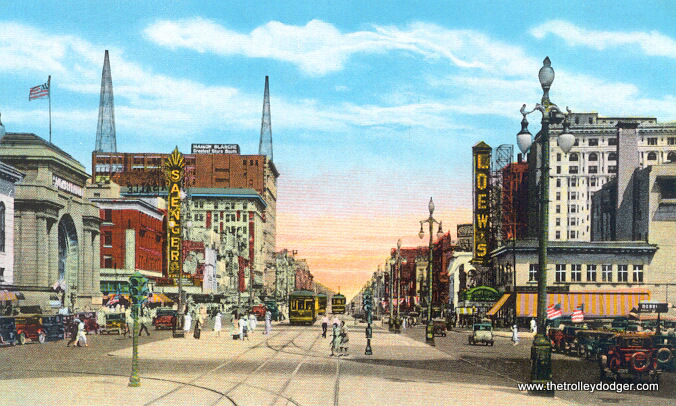 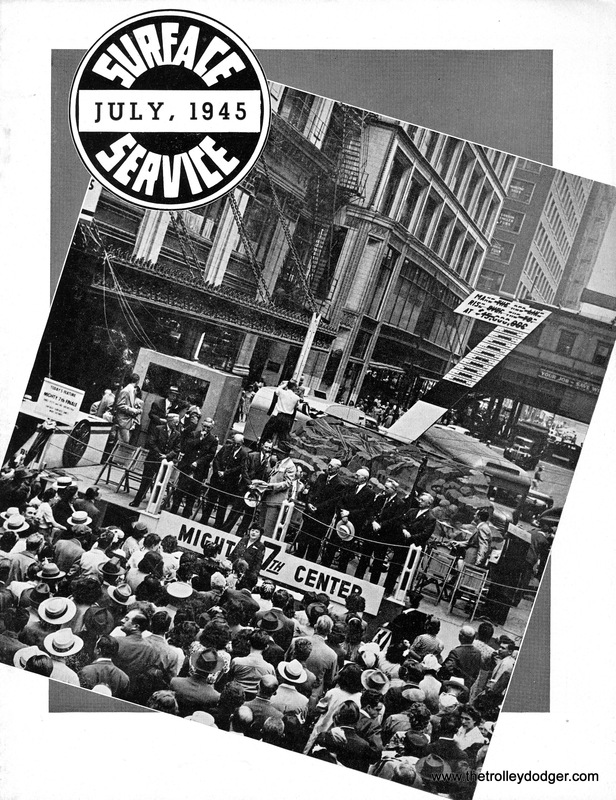 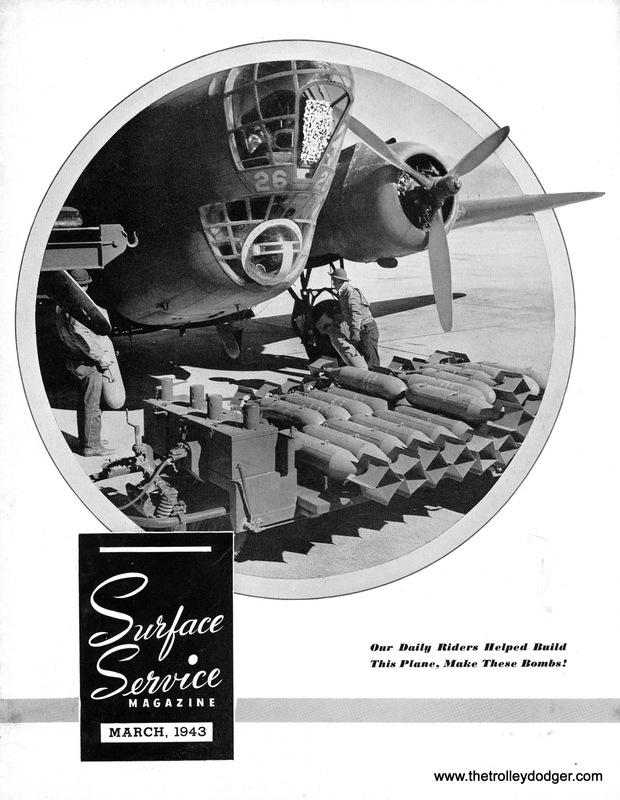 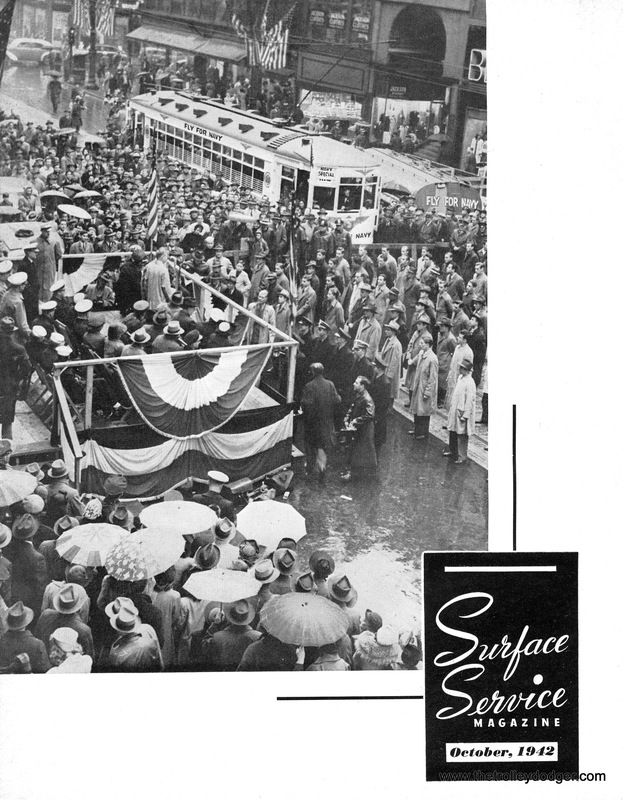 The group of LVT and Red Arrow photos have some interesting angles typically not seen in most photos. 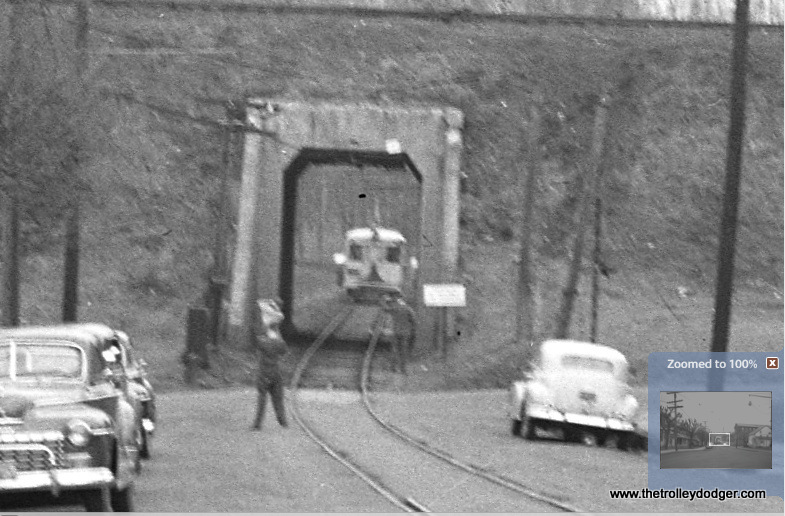 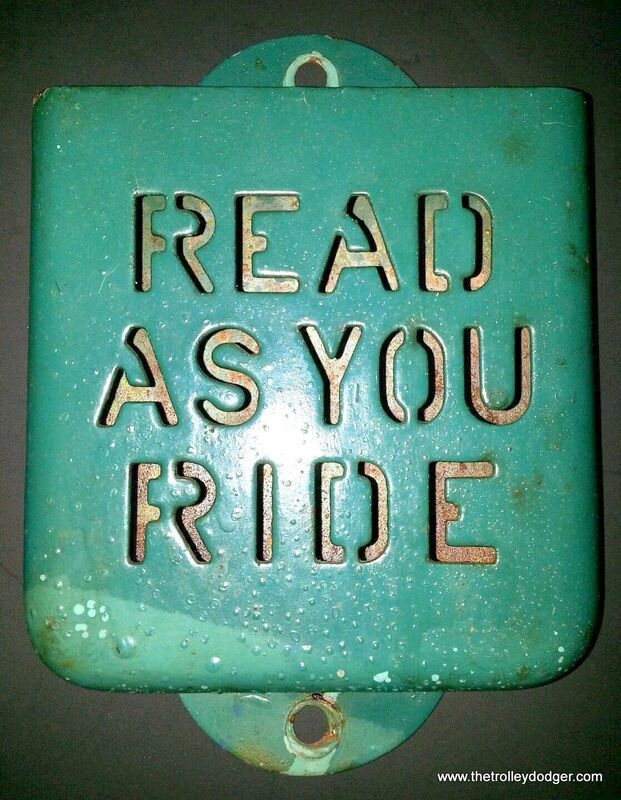 Re the Liberty Bell Perkasie tunnel. 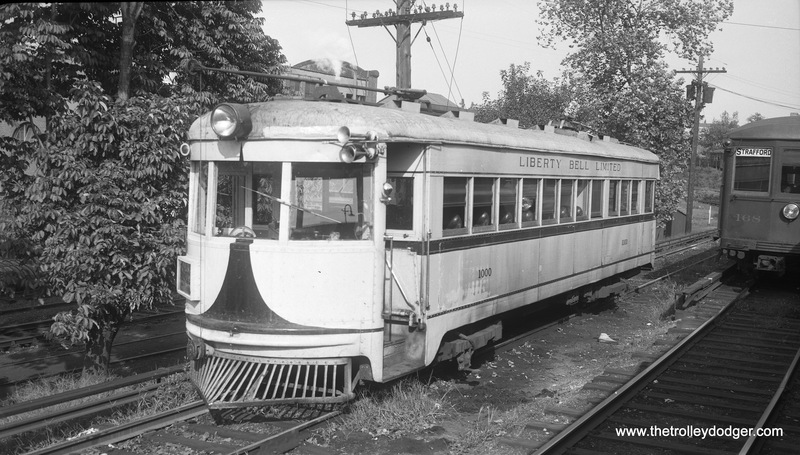 There’s a very short youtube video of the Liberty Bell coming through the tunnel. 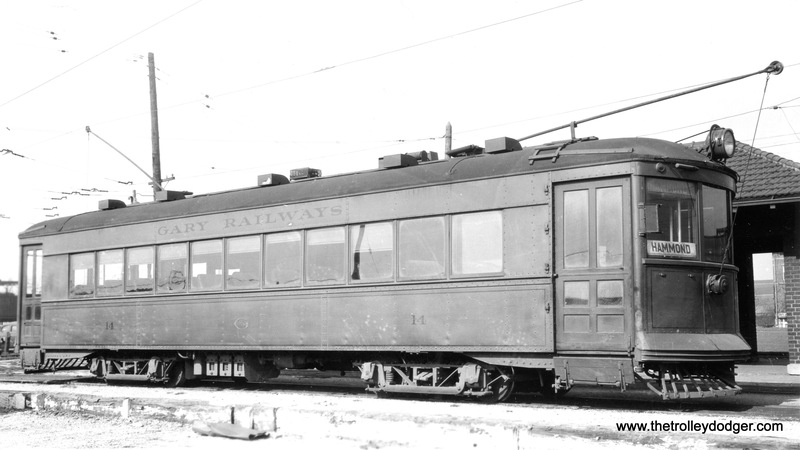 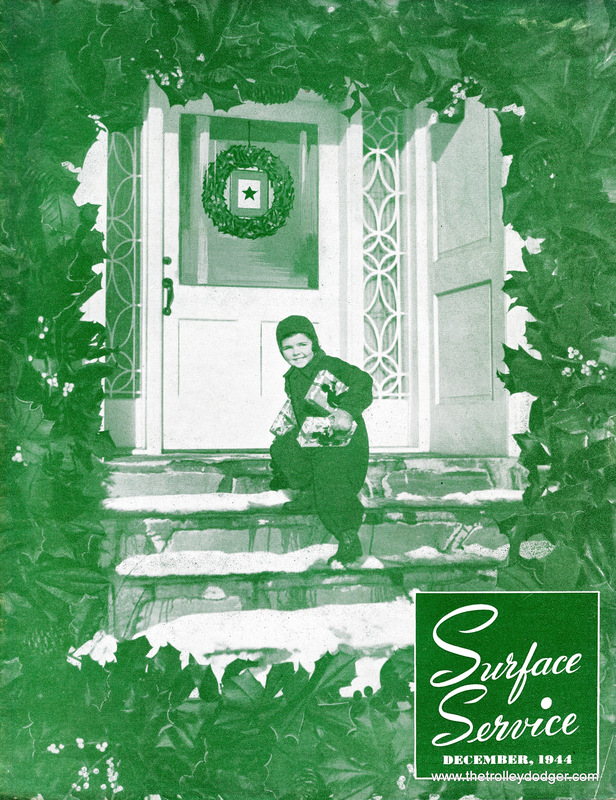 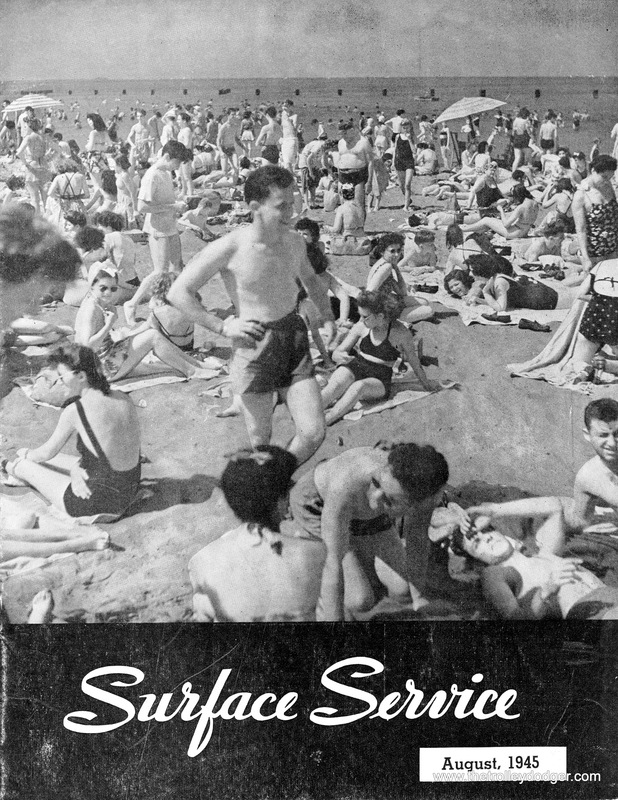 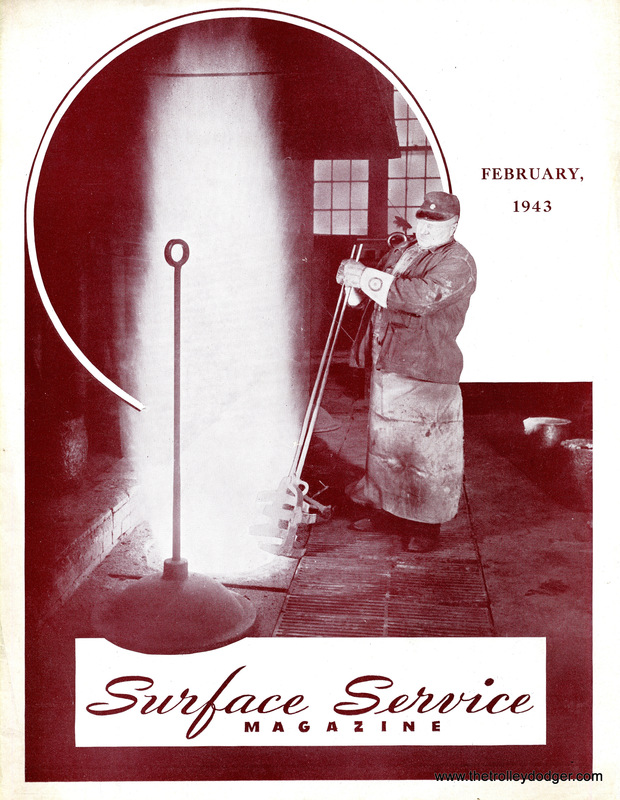 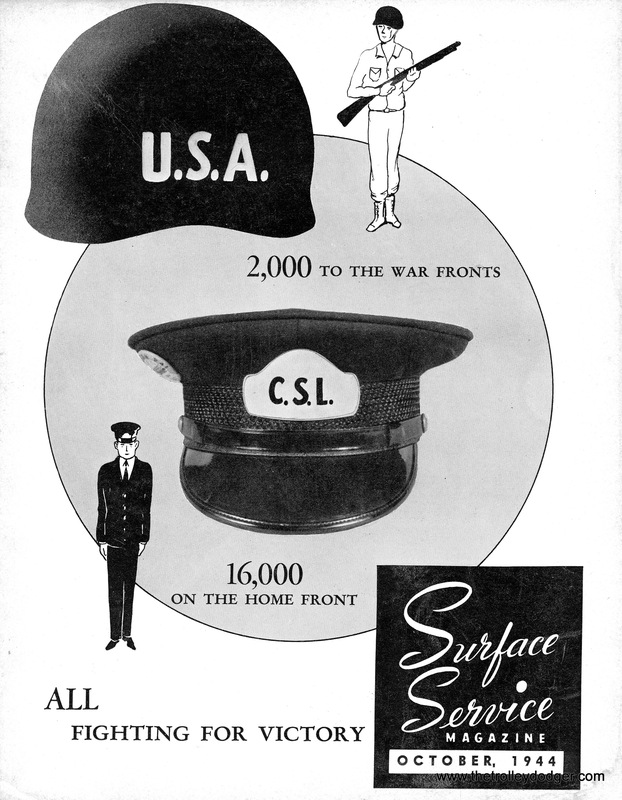 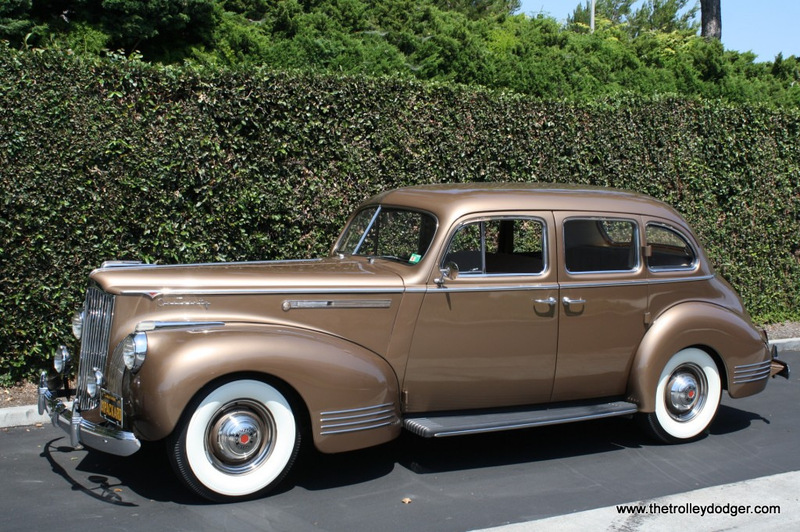 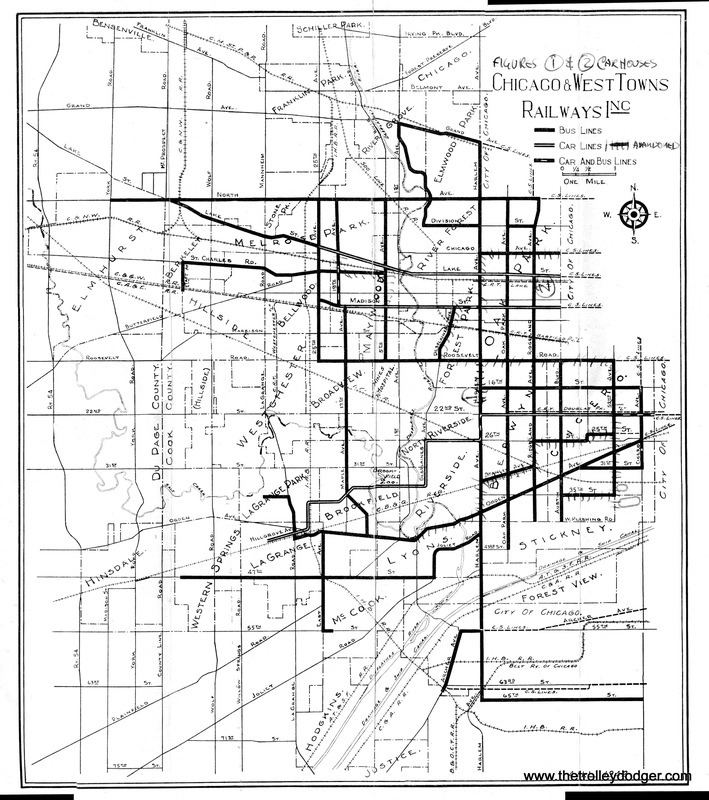 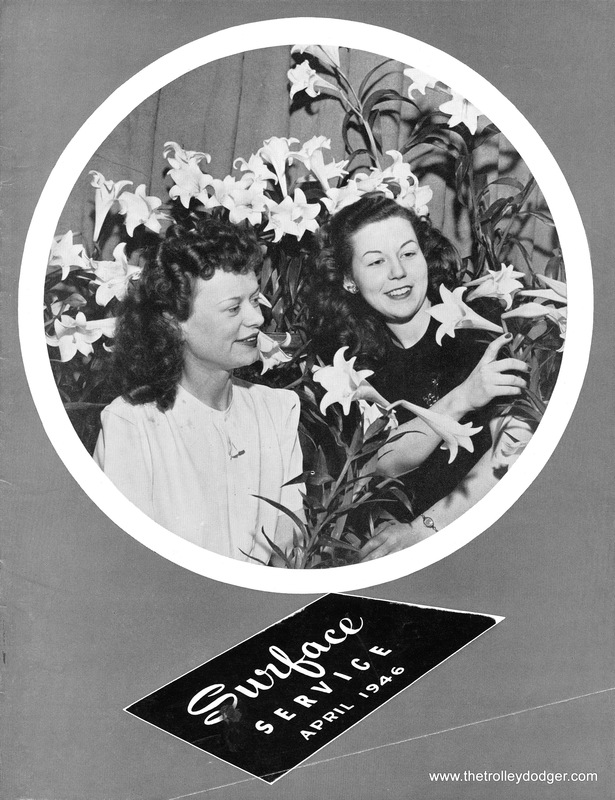 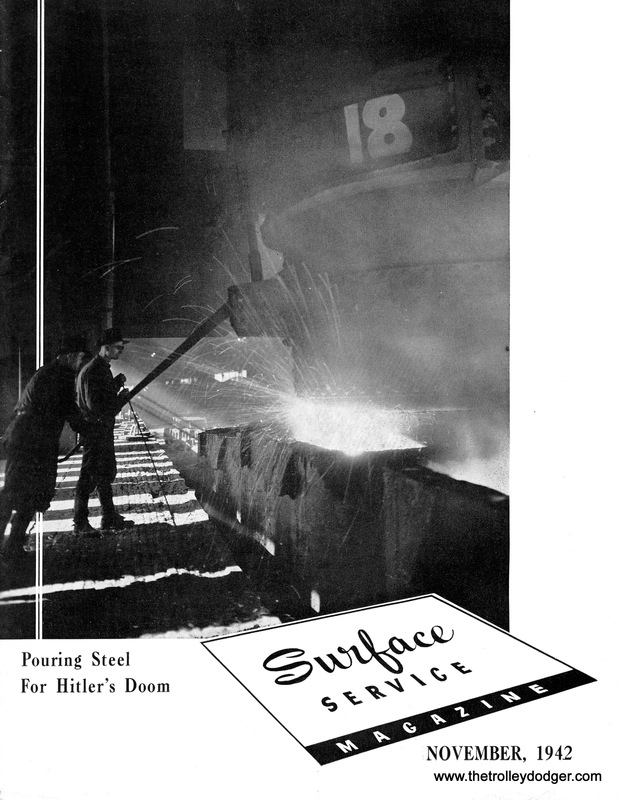 Southern Car Works, although a completely separate company from P. A. Thomas, is related in that Perley Thomas was the master car builder for Southern. 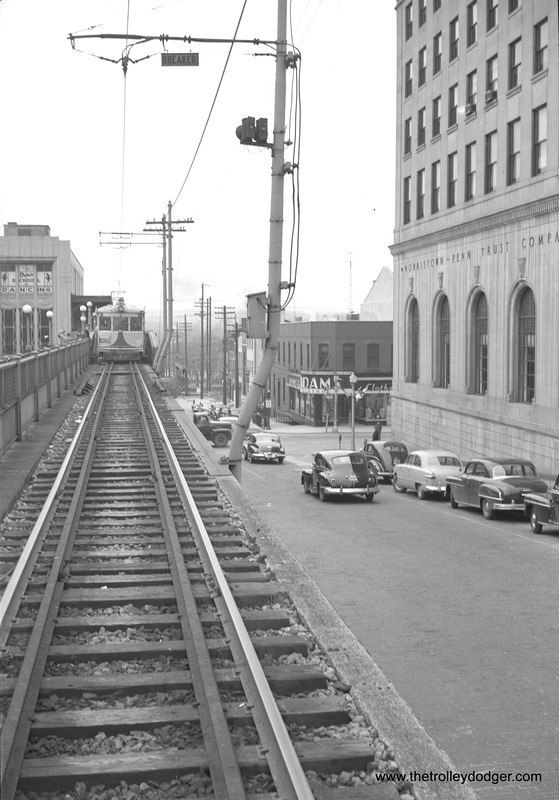 When the older firm failed, there was in hand in High Point, enough contracts to justify keeping the company going. 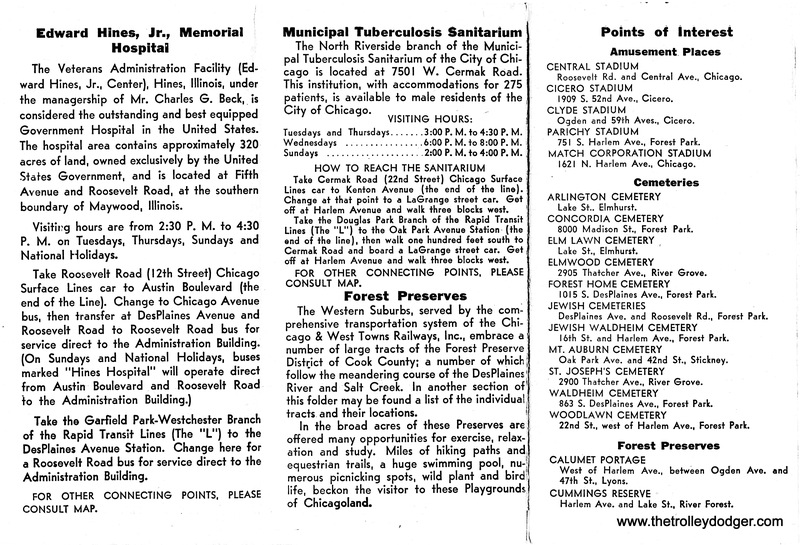 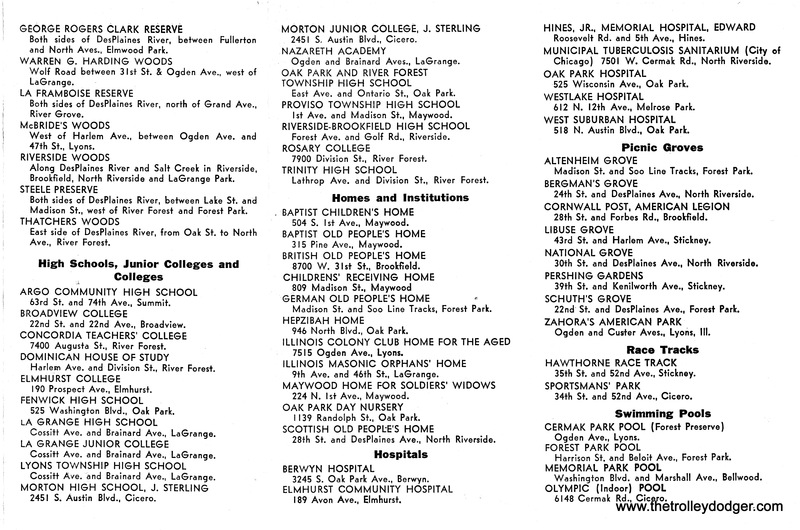 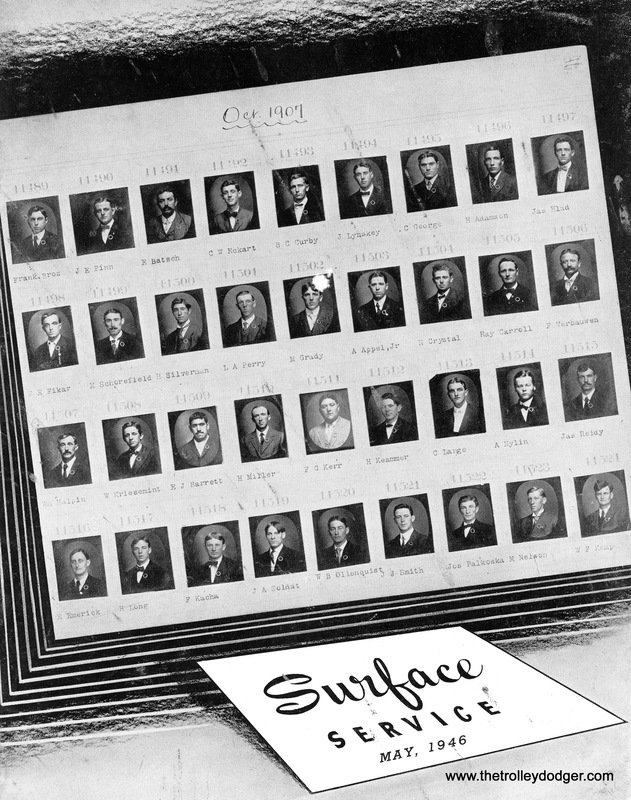 Thus, the newer firm was organized. 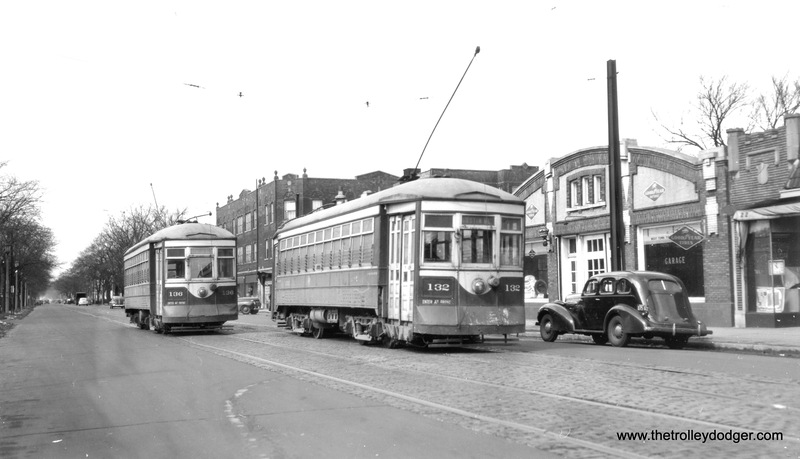 The building where they built streetcars is still being used to build buses. 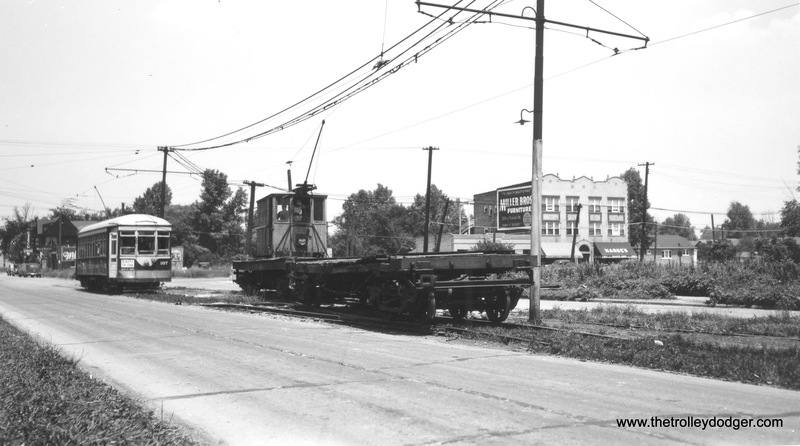 They have retrieved the portion that had been a warehouse for Big Bear (later Harris-Teeter supermarkets and use that whole building plus a much newer building in Jamestown, nearby.